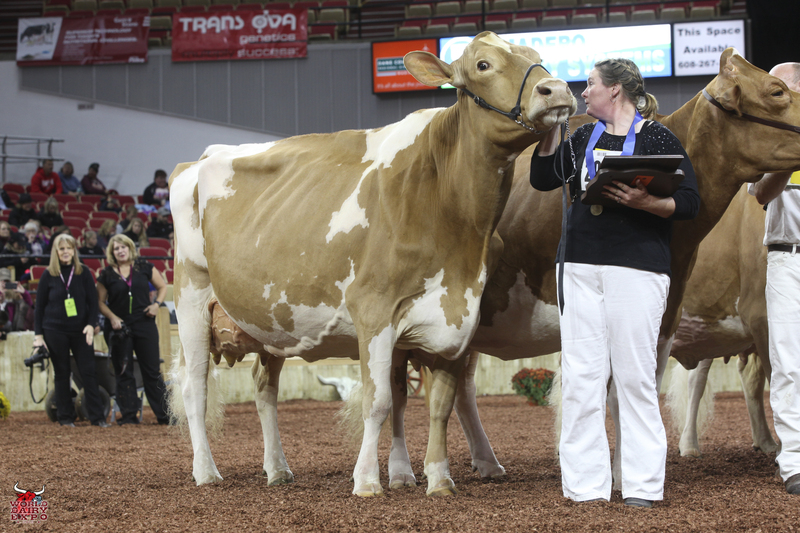 Willow Brook Labron Toni took home two Champion titles at the International Guernsey Show. 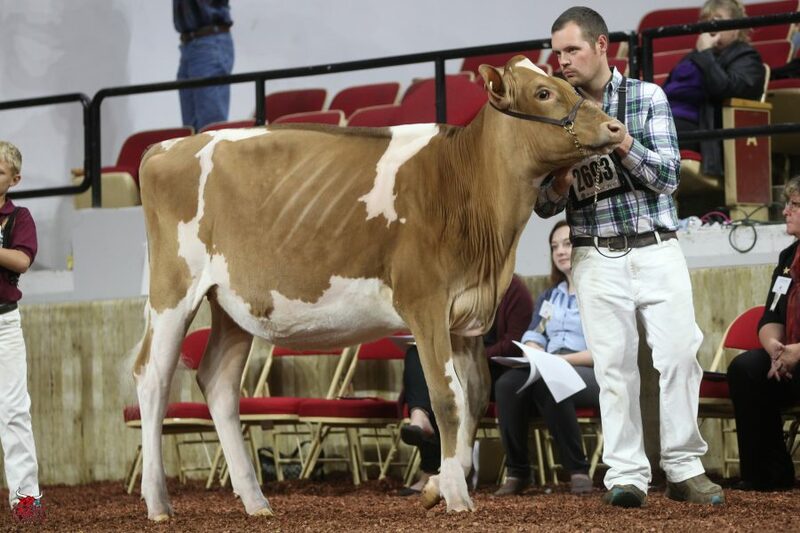 Owned by Jake Booher, West Middlesex, Pa., Toni’s first trip across the colored shavings on October 5 was when she rose to the top of the Five-Year-Old Cow Class on her way to being named Senior and Grand Champion Female. 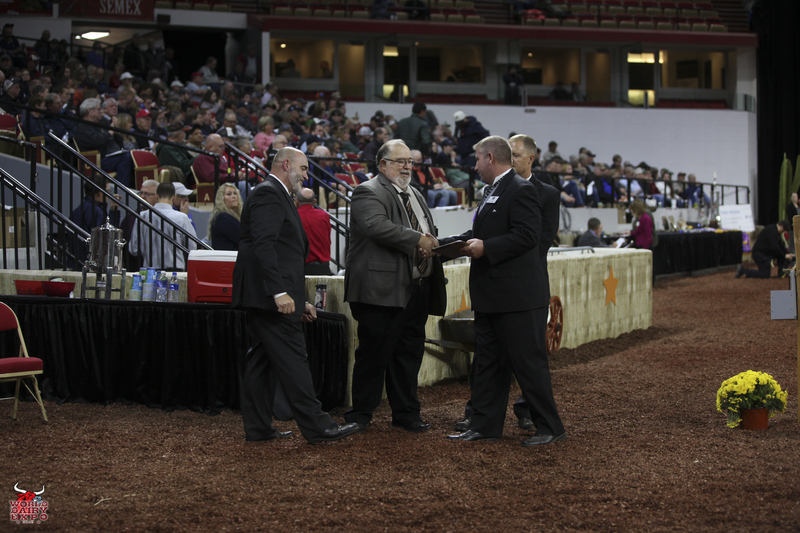 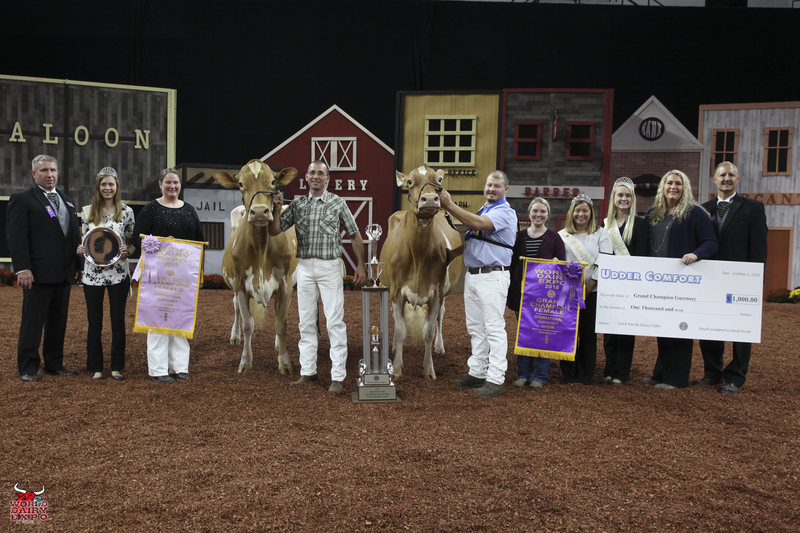 Toni was presented with the $1,000 Udder Comfort Grand Champion Cash Award and the Allen Hetts Grand Champion Trophy. 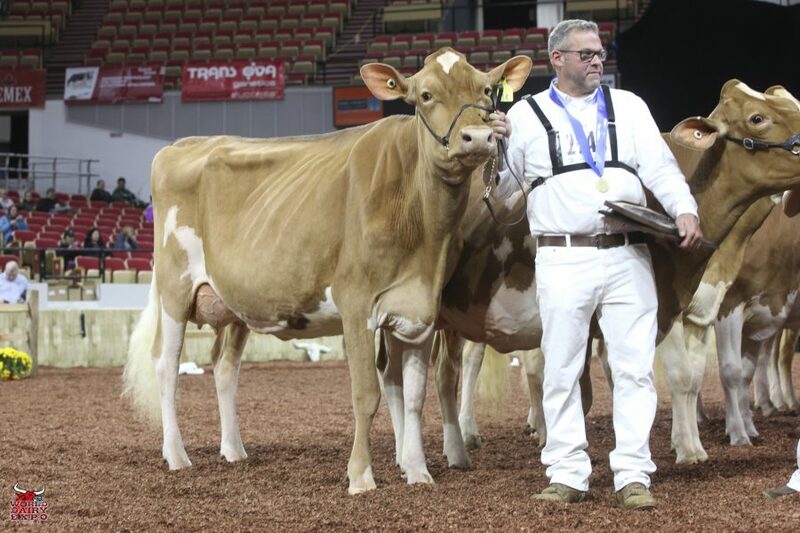 First in the Six-Year-Old Cow Class, Reserve Senior and Reserve Grand Champion of the International Guernsey Show was Hi Guern View Dancing Diva-ET, exhibited by Brian and Kristi Dinderman, Orangeville, Ill..
Springhill Jokes Finale-ETV was the winning Fall Heifer Calf and Junior Champion of the International Guernsey Show and is owned by Springhill of Big Prairie, Ohio. 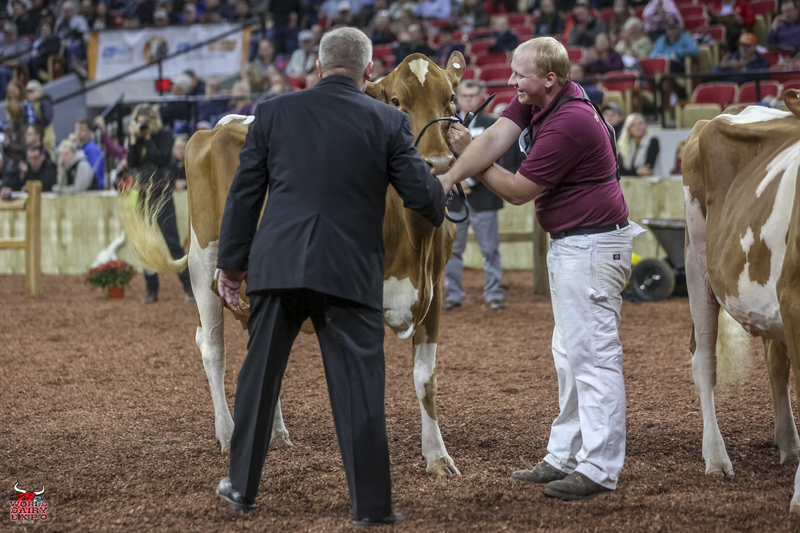 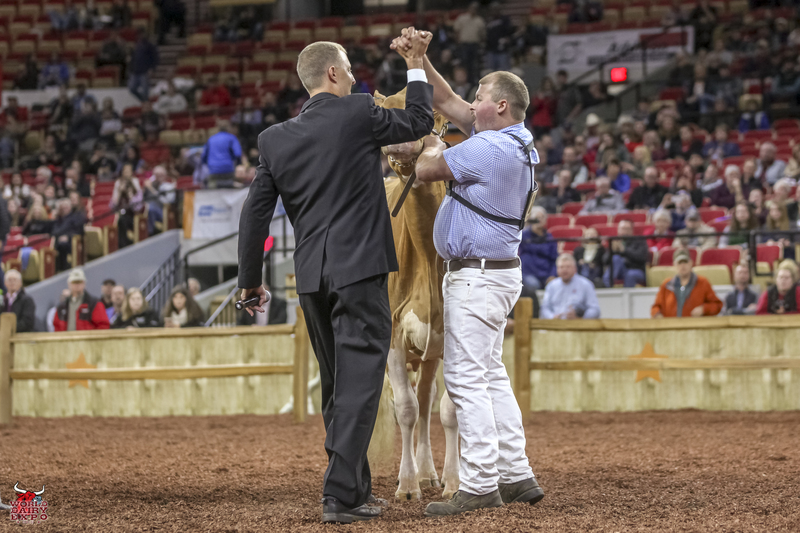 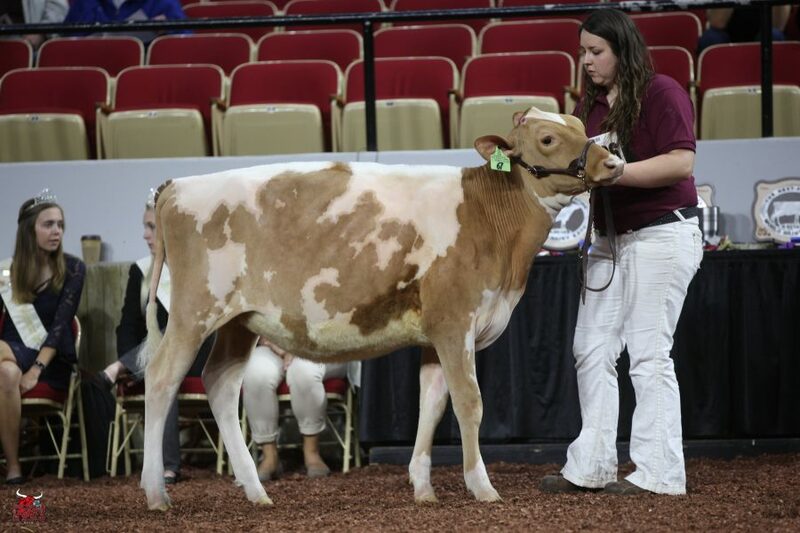 Knapps Pie Time To Dance-ETV, exhibited by Austin and Landen Knapp of Epworth, Iowa, was the winning Winter Heifer Calf and Reserve Junior Champion. 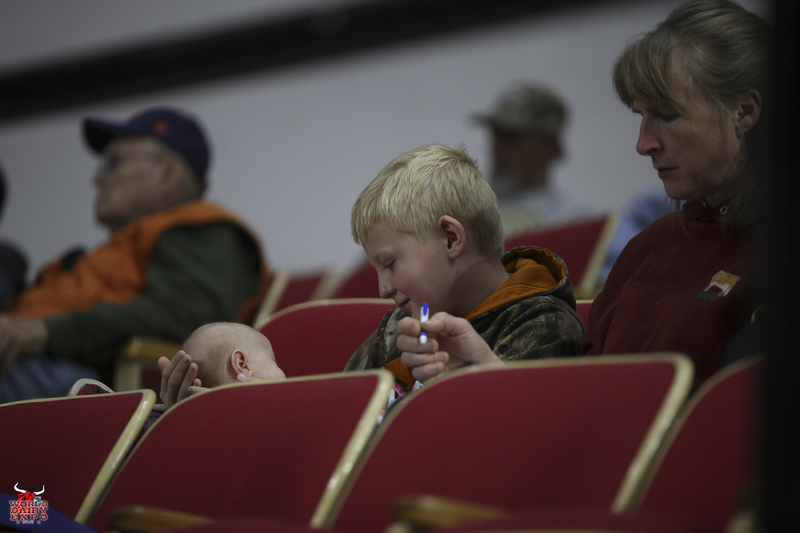 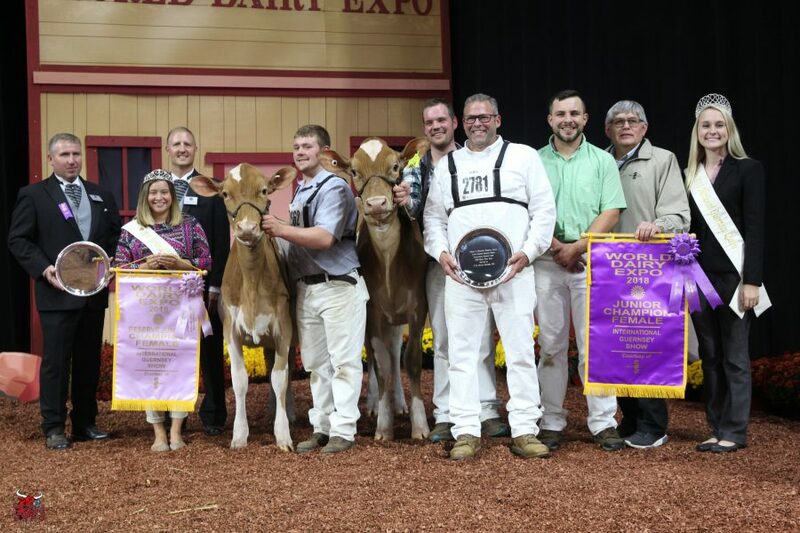 Austin and Landen Knapp, Knapps Guernseys of Epworth, Iowa, took home four titles in the International Guernsey Show: Premier Breeder of the Heifer Show, Premier Exhibitor of the Heifer Show, Premier Breeder and Premier Exhibitor. 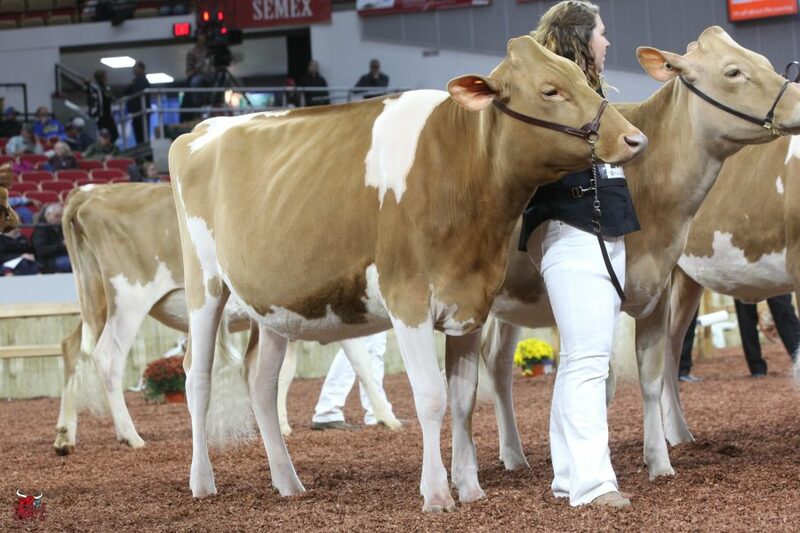 Millborne Tiller Fayes Fame was selected as the Premier Sire while Premier Sire of the Heifer Show was awarded Jens Gold Aaron Copper-ET. 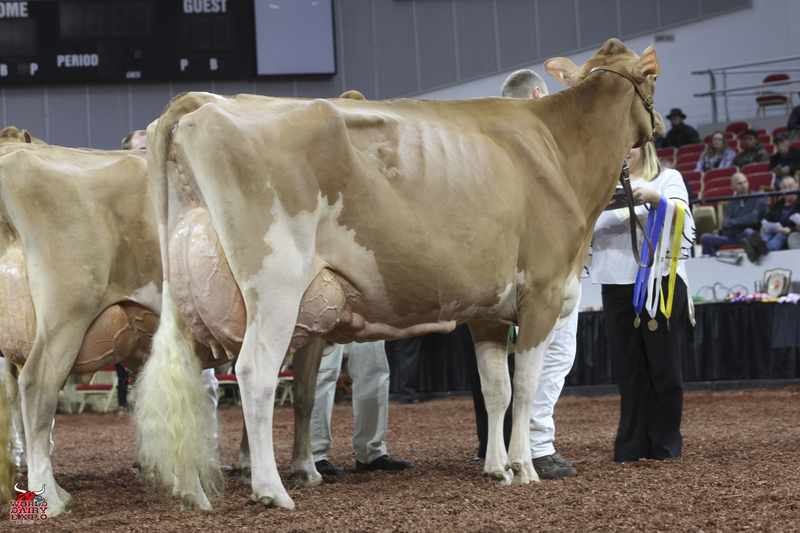 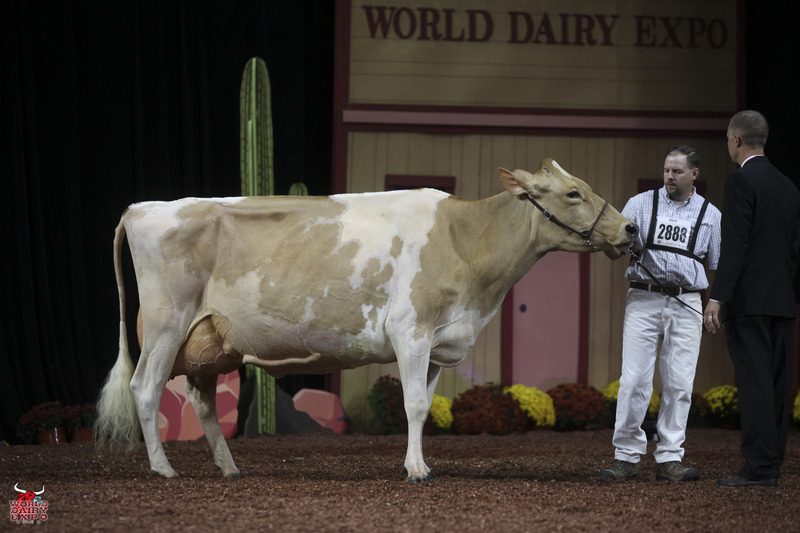 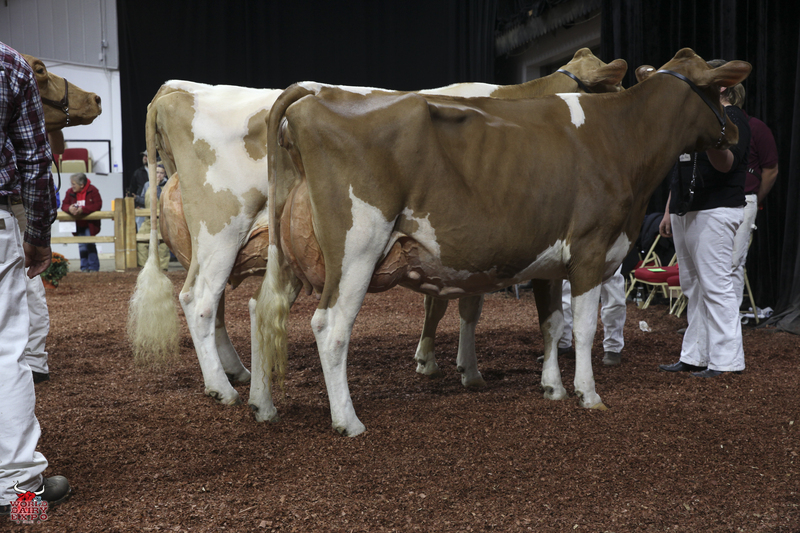 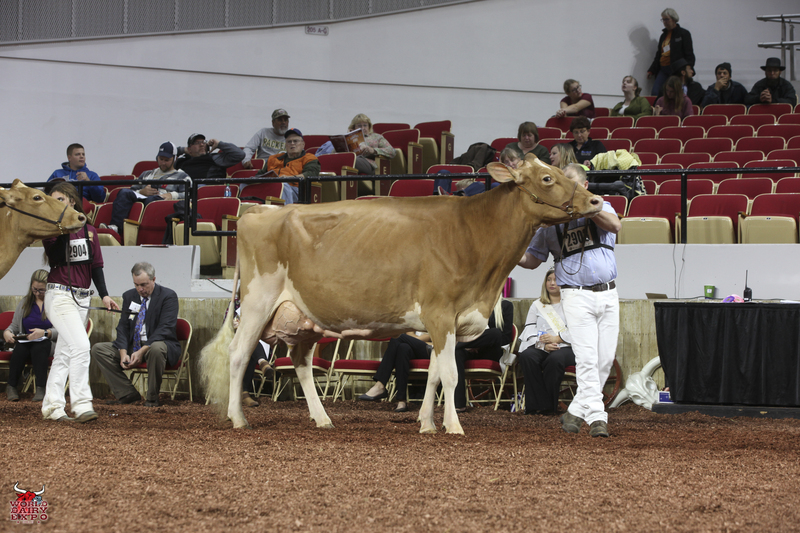 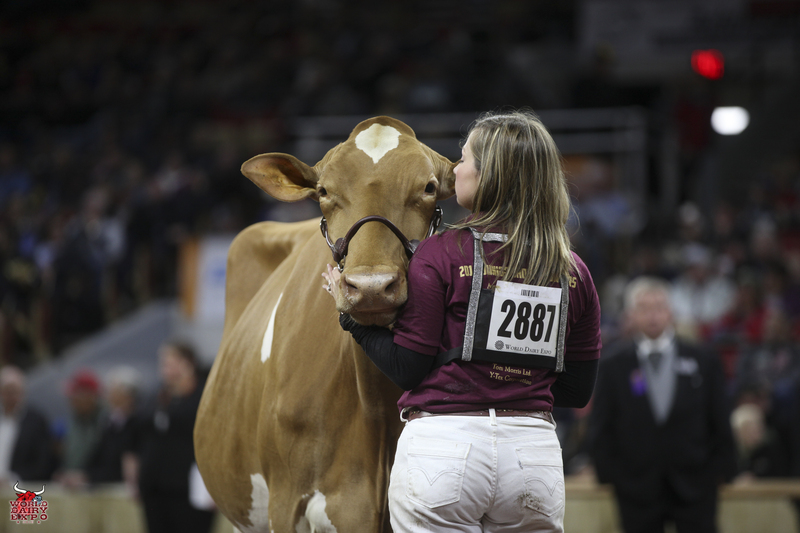 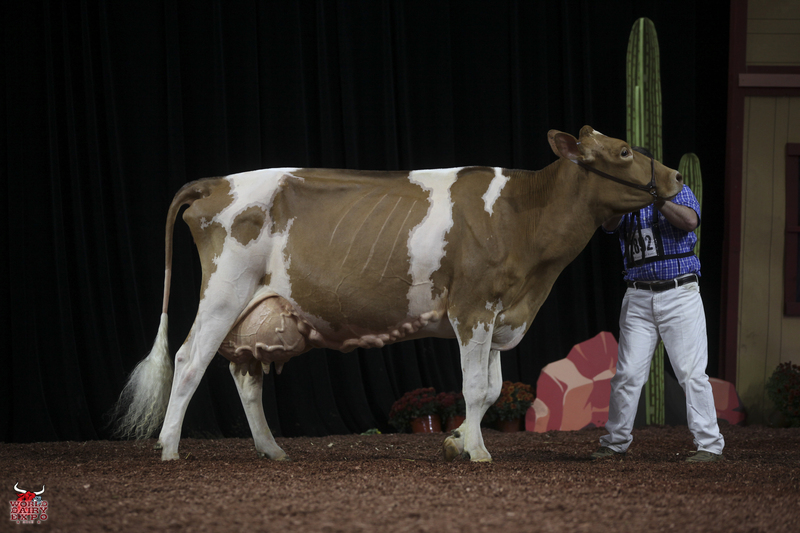 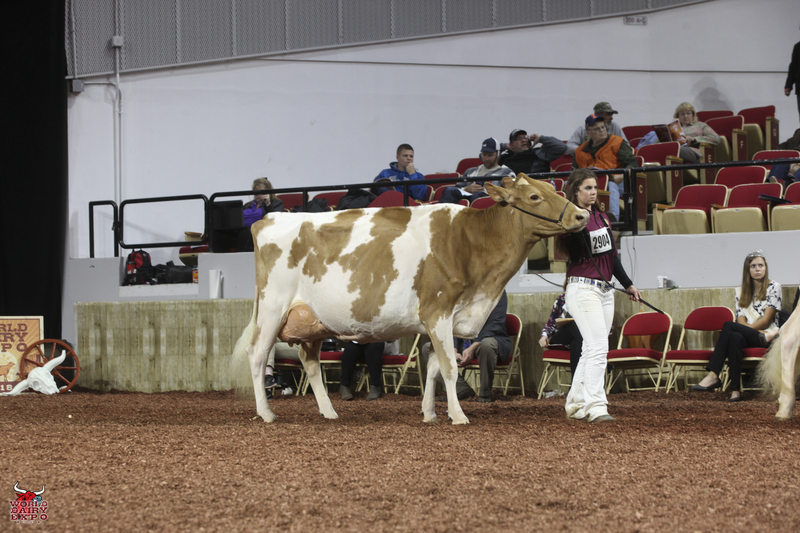 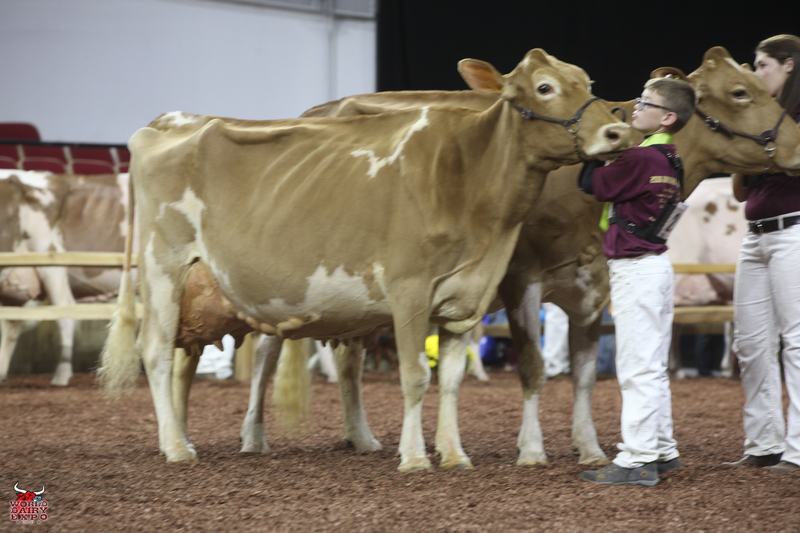 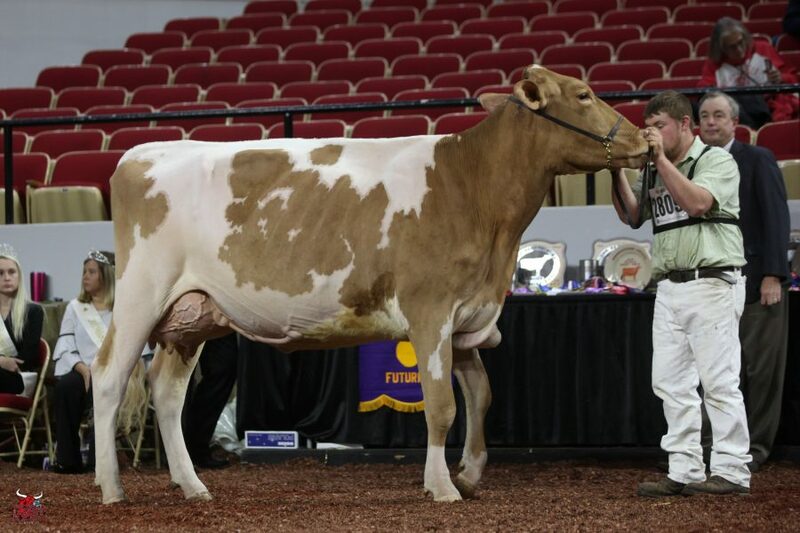 The winning Five-Year-Old Cow of the International Junior Jersey Show, SV Impression Holly-ET, was named Senior Champion and then Grand Champion of the show. 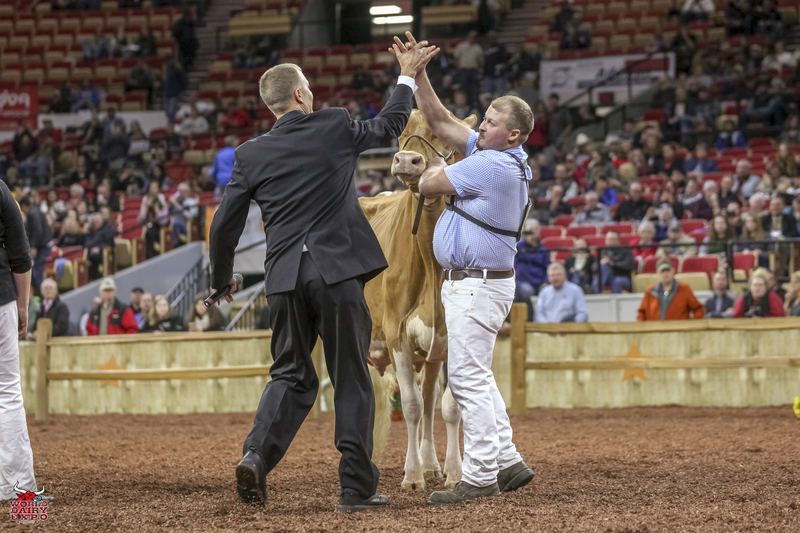 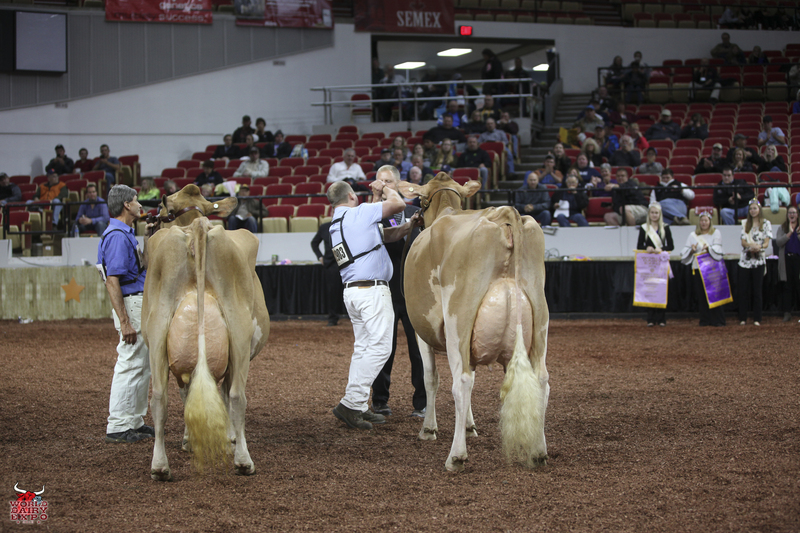 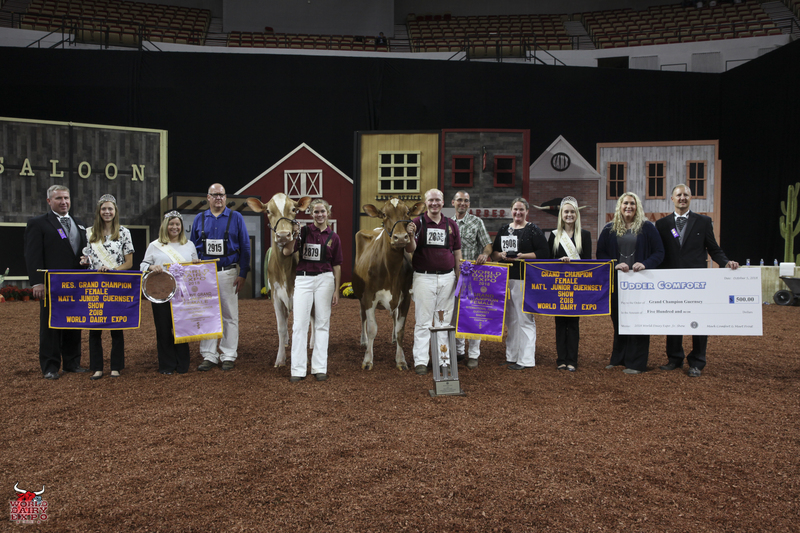 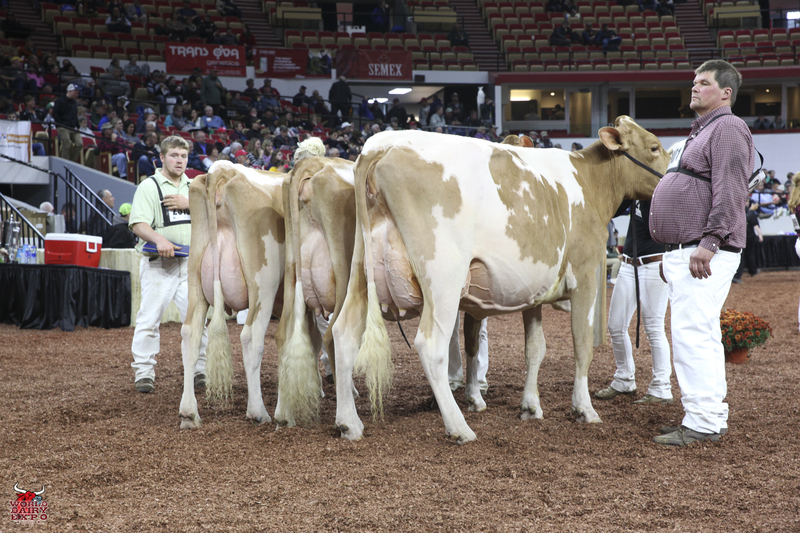 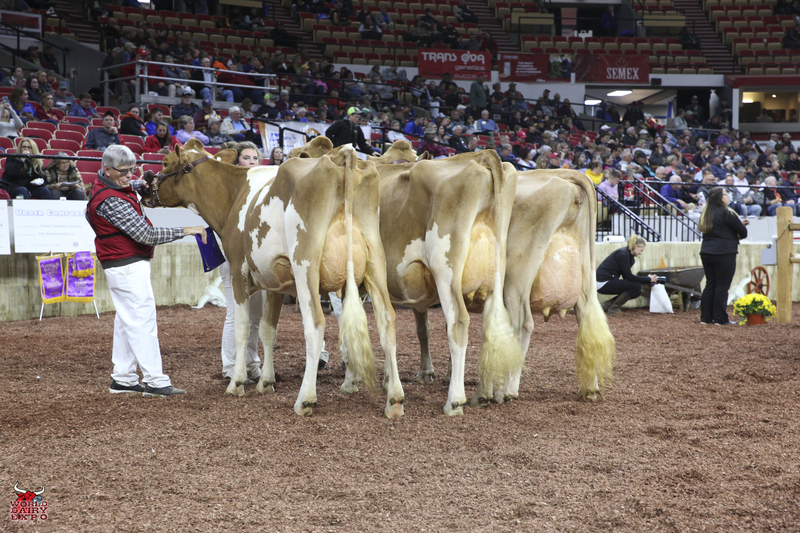 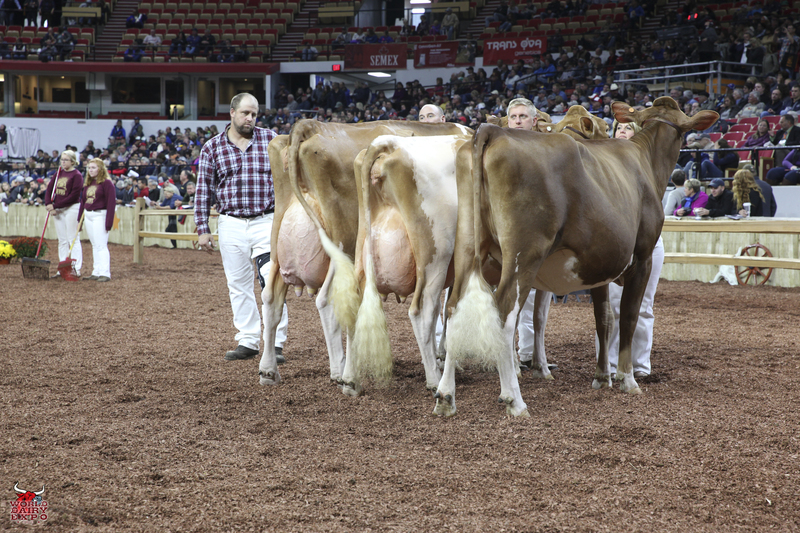 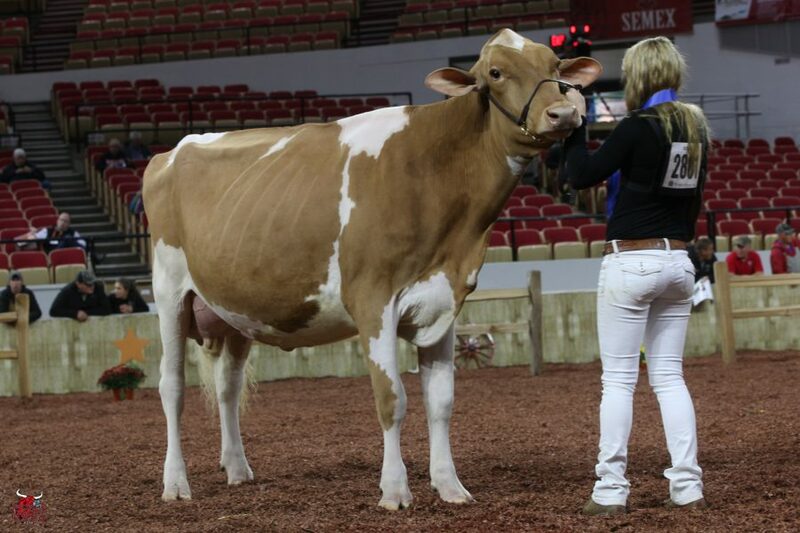 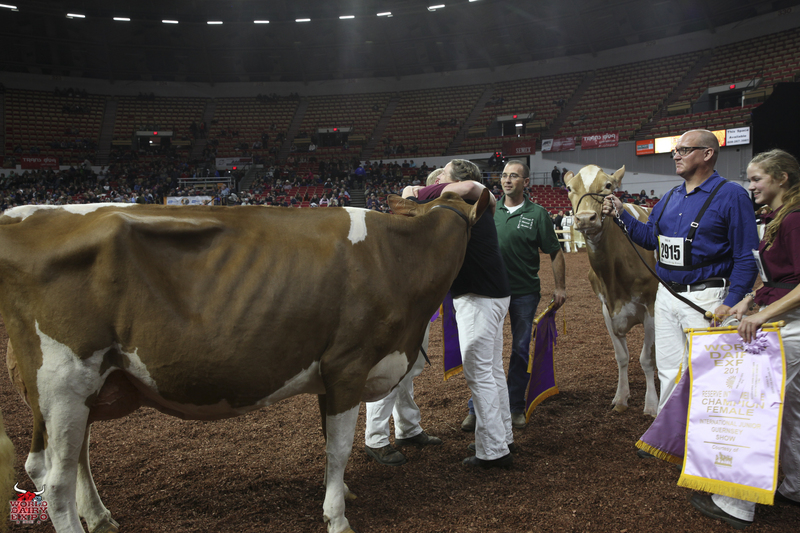 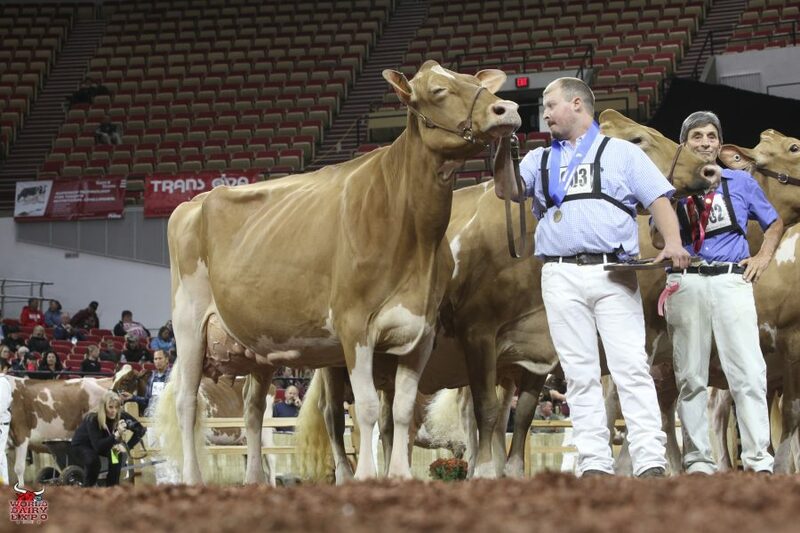 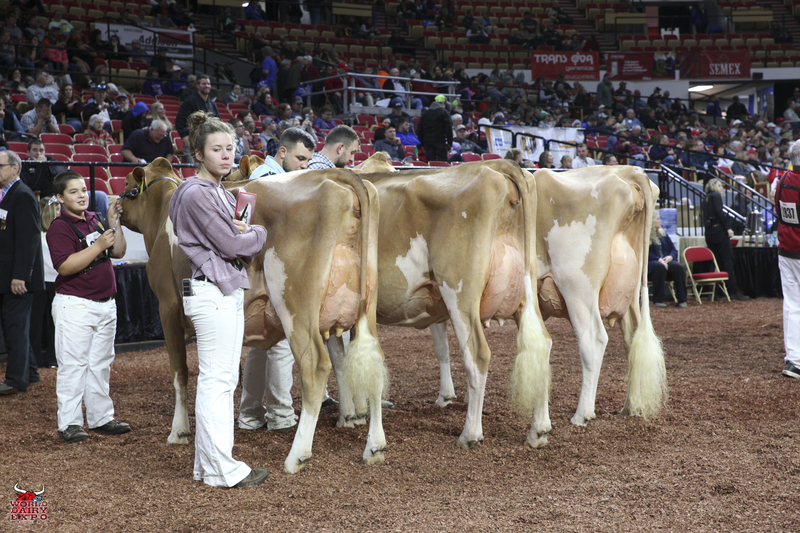 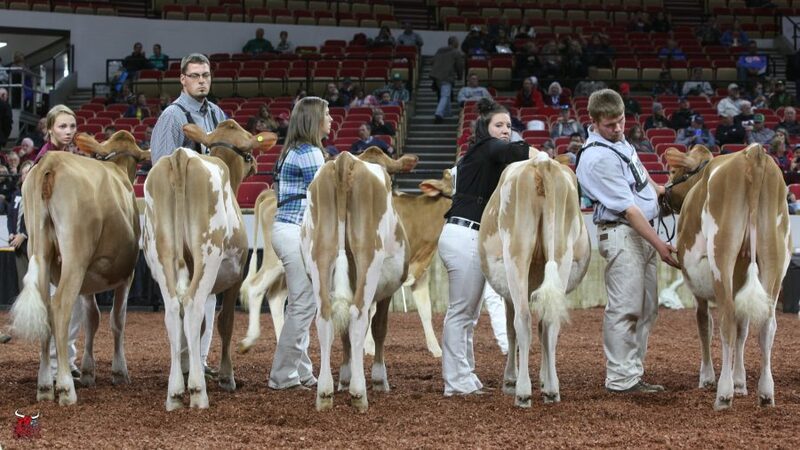 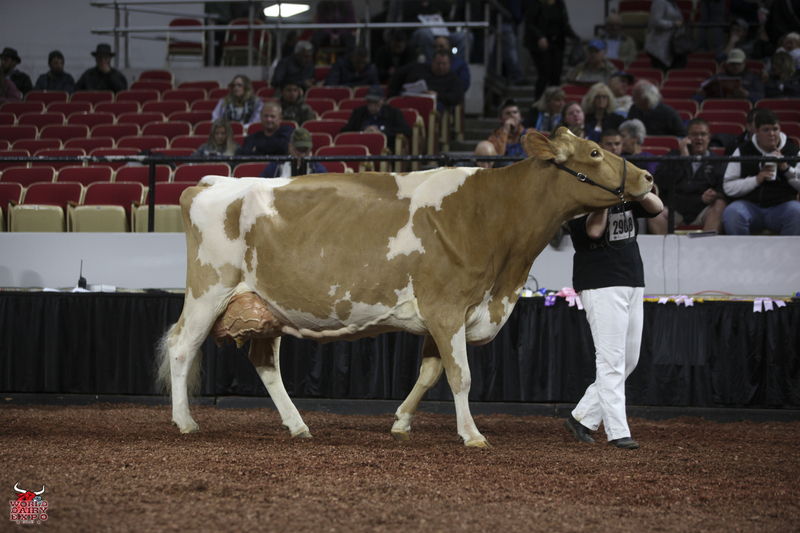 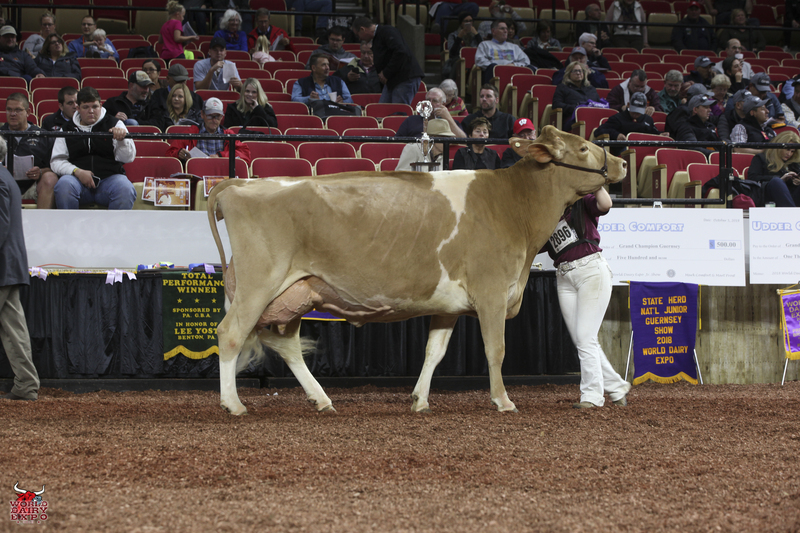 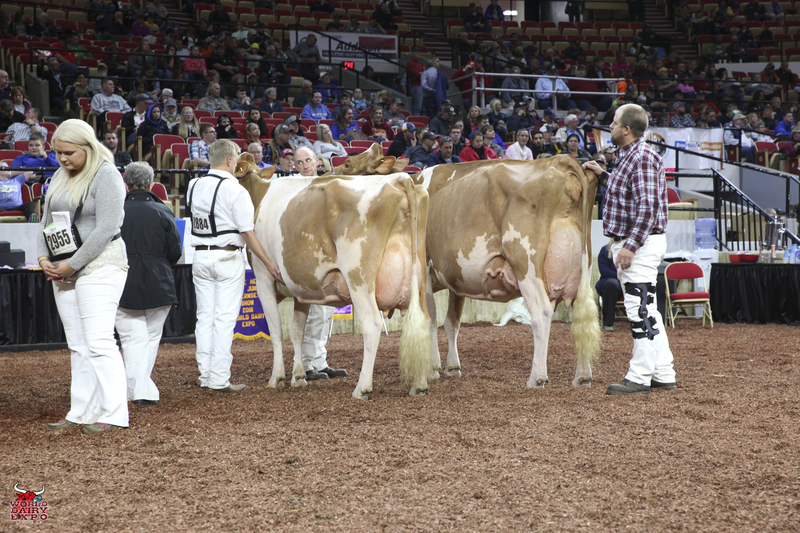 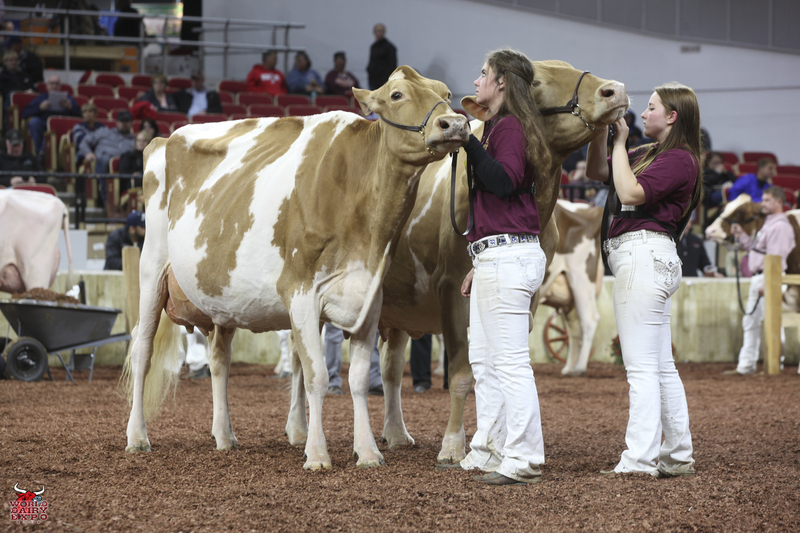 Holly, exhibited by River Valley Farm – Ben, Andy, Blessing and Grace Sauder of Tremont, Ill., received the $500 Udder Comfort Grand Cash Champion Award. 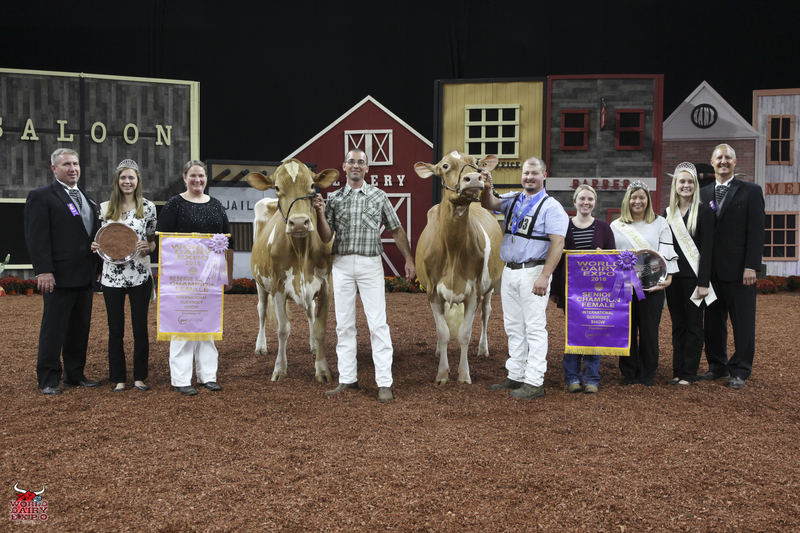 Reserve Grand Champion honors went to the Reserve Senior Champion, Meadow Ridge Jackknife Summer, the first place Six-Year-Old & Older Cow, owned by Michael Riebe and Alleah and Emma Anderson of Cumberland, Wis. 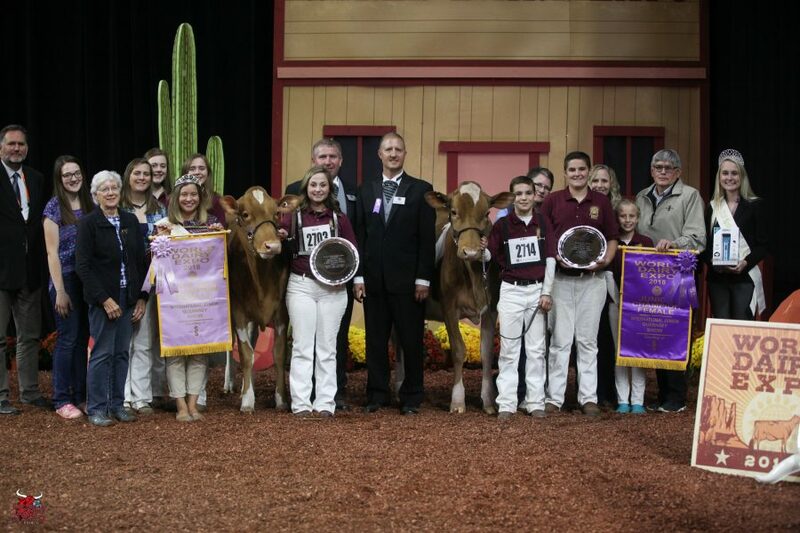 These cows received a Lillian & Keith King and Jim King Grand Champion and Reserve Grand Champion of the Junior Show award, respectively. 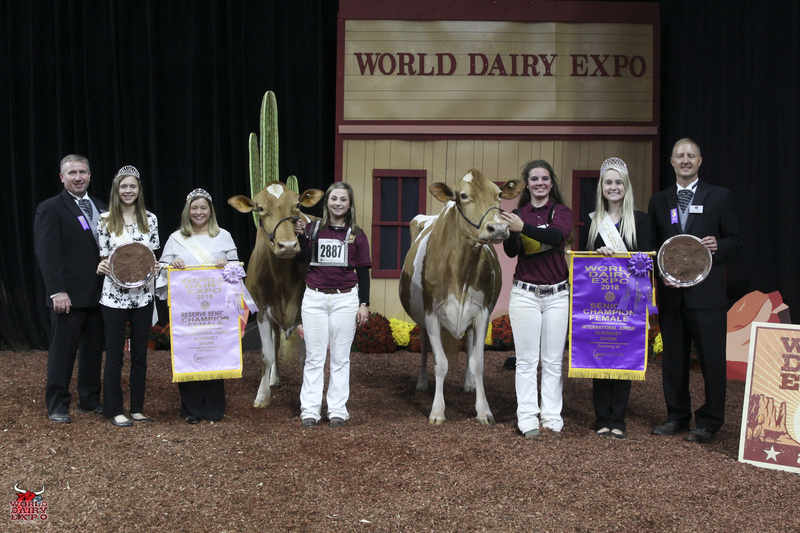 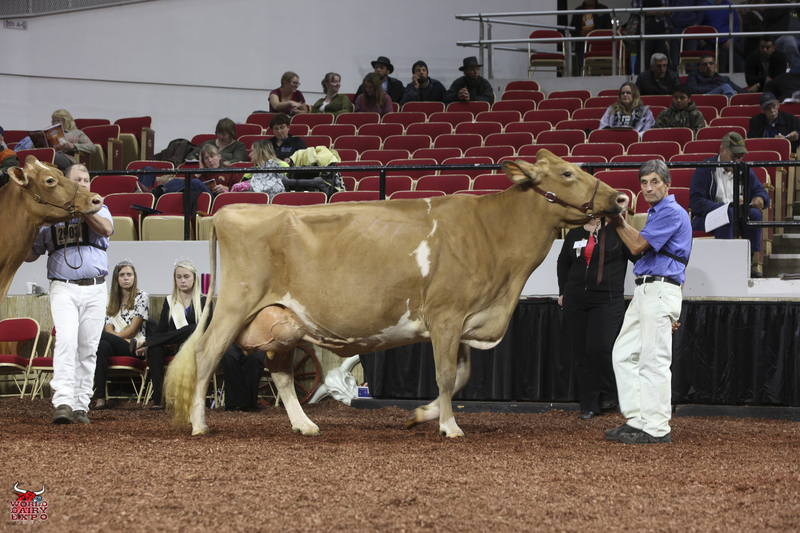 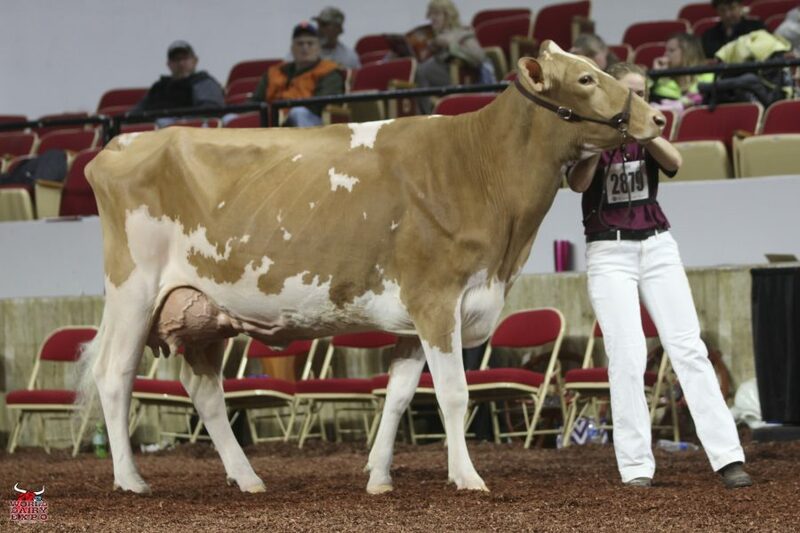 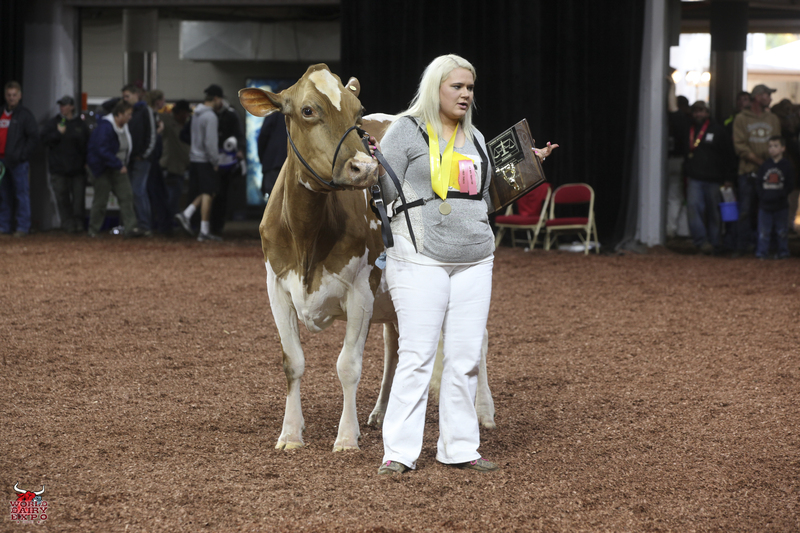 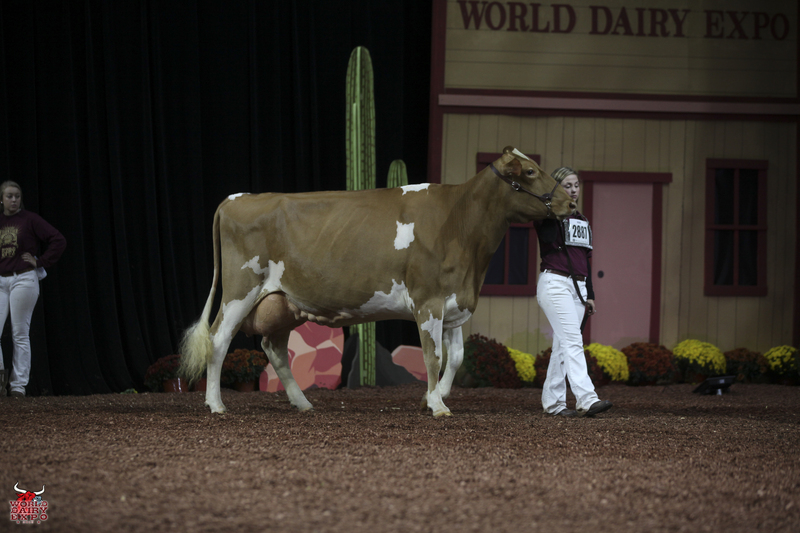 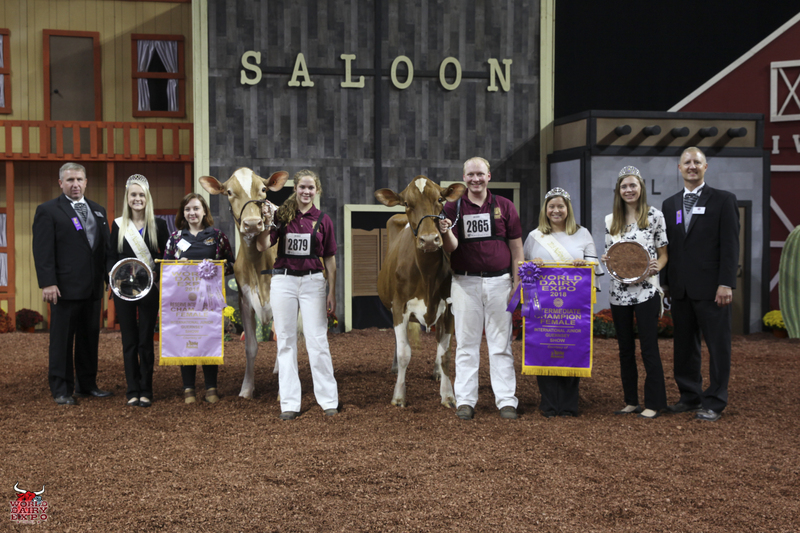 Intermediate Champion of the International Jersey Show was Julie-Ann Tequila Asia, the winning Yearling Heifer in Milk, and was shown by Analise Stover of Carlisle, Pa. Fire-Lake Premier Meg, shown by Joshua, Hannah, Nicole and Rebecca Sanders of Hilmar, Cali., was selected as Reserve Intermediate Champion. 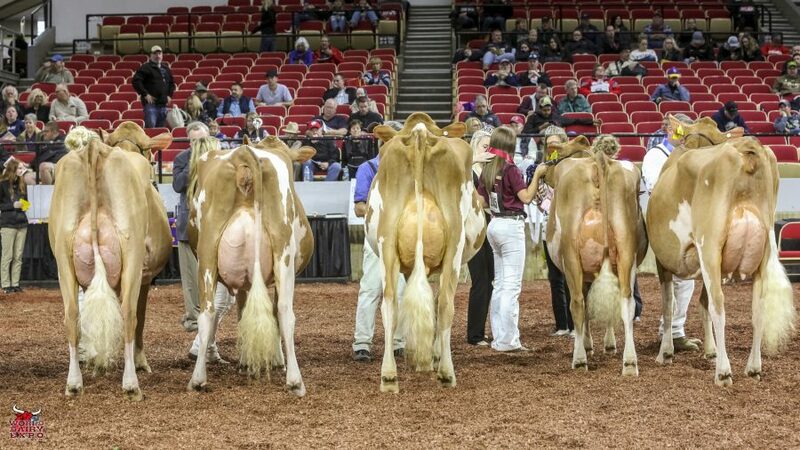 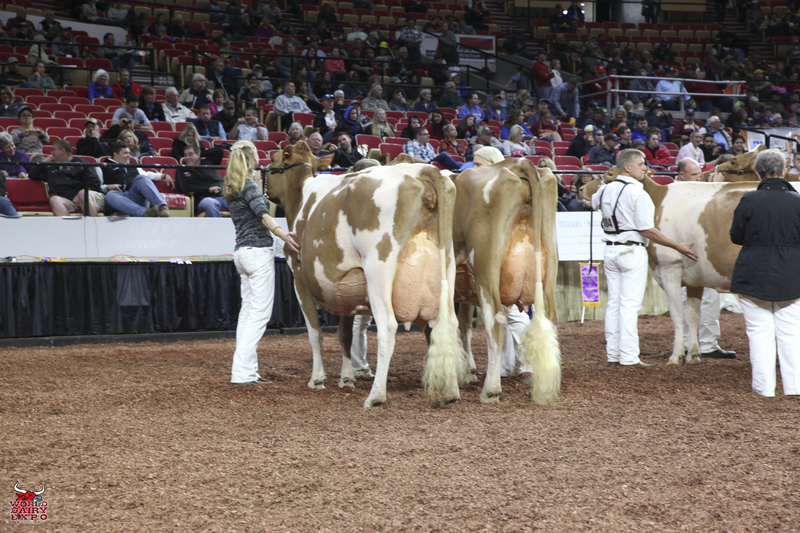 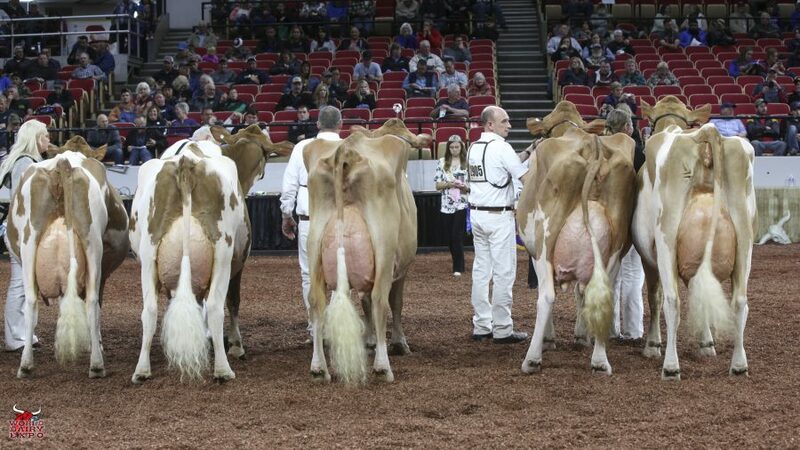 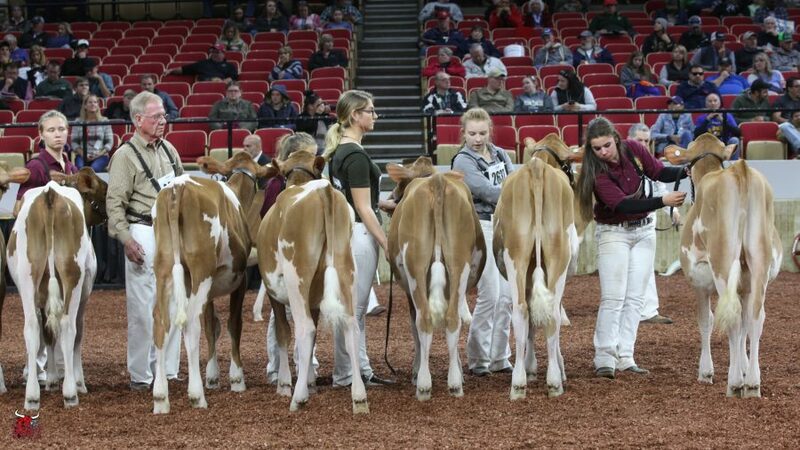 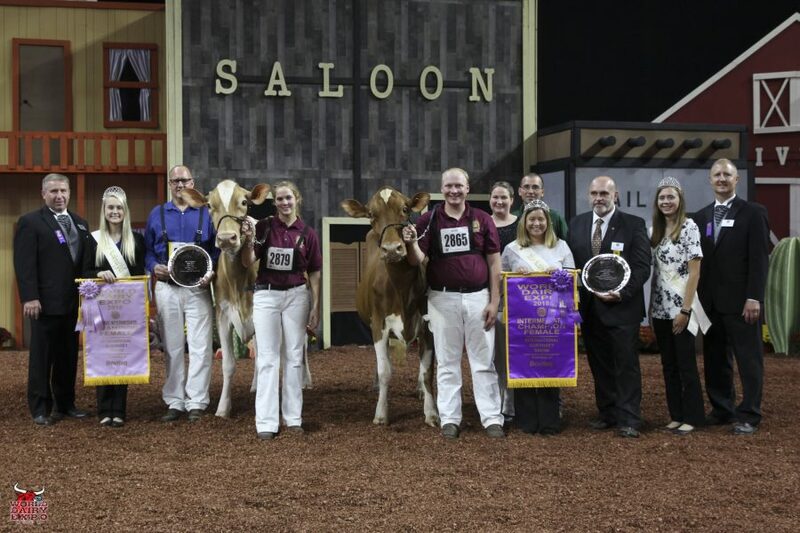 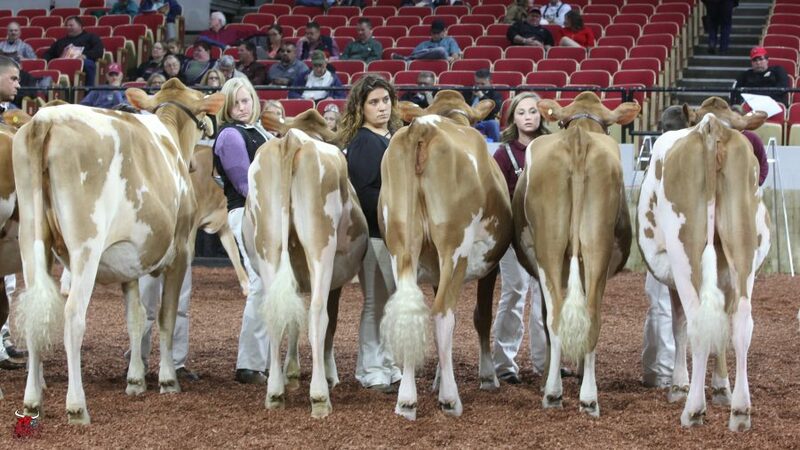 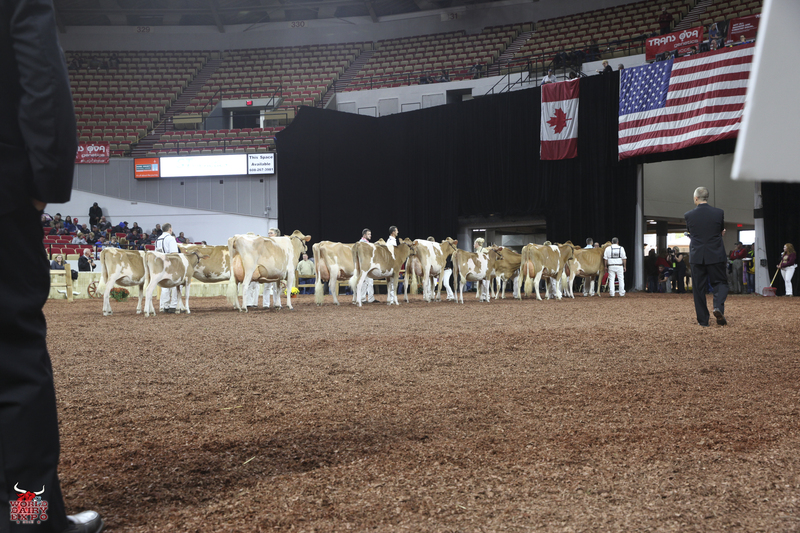 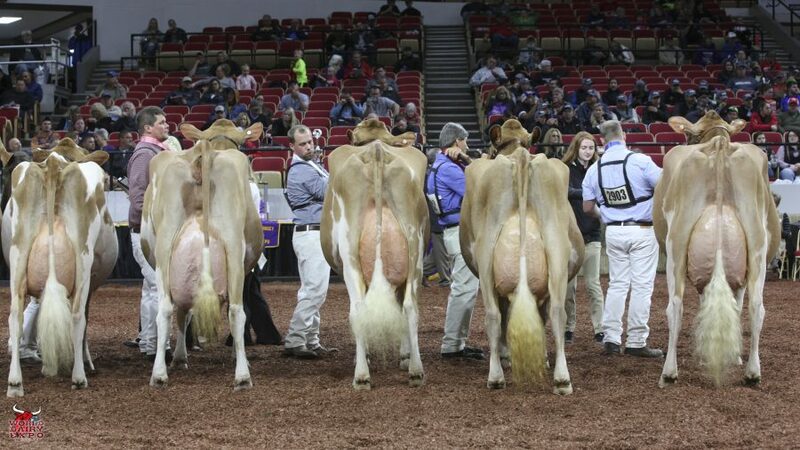 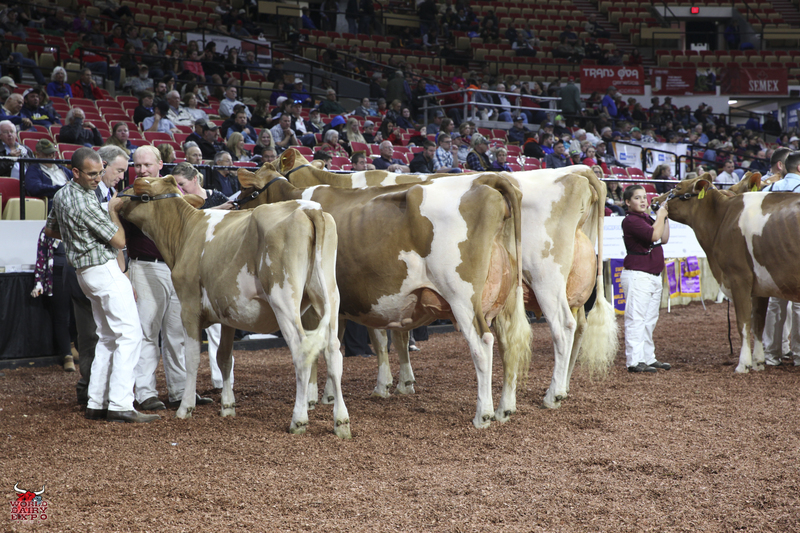 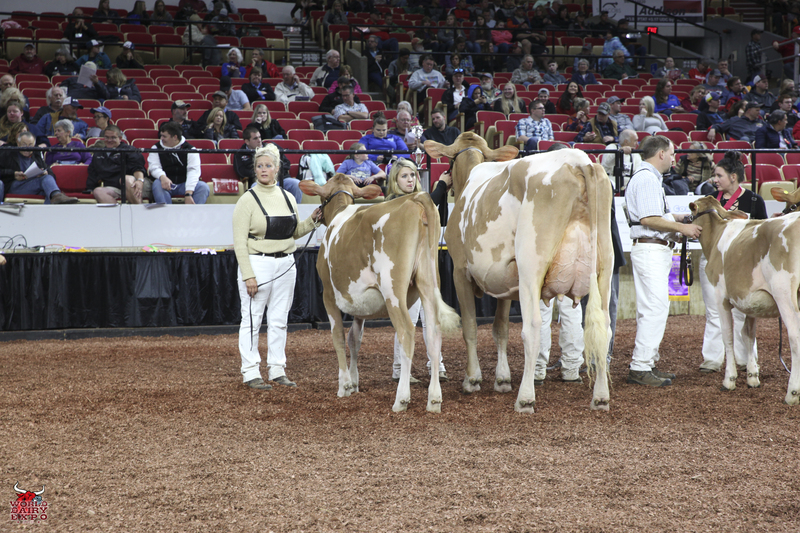 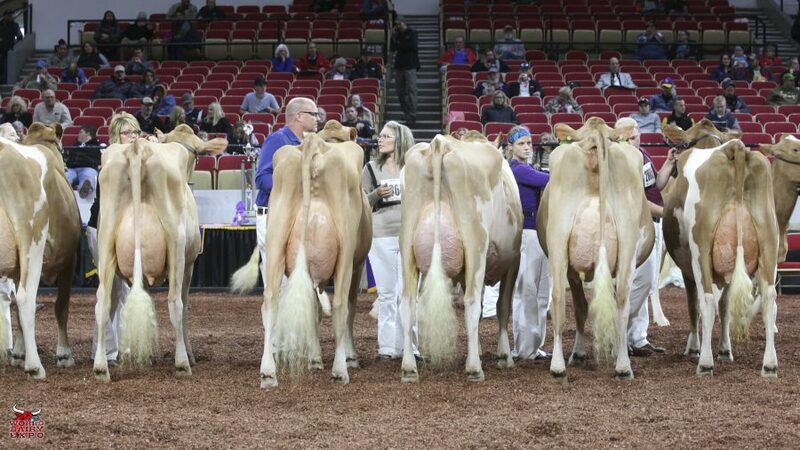 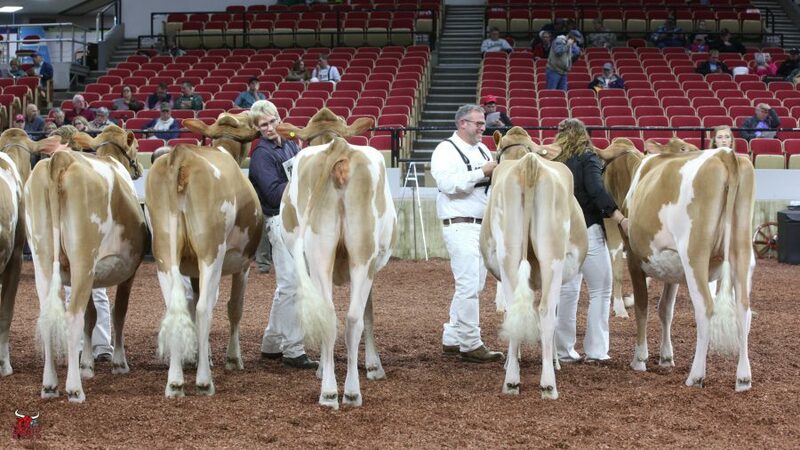 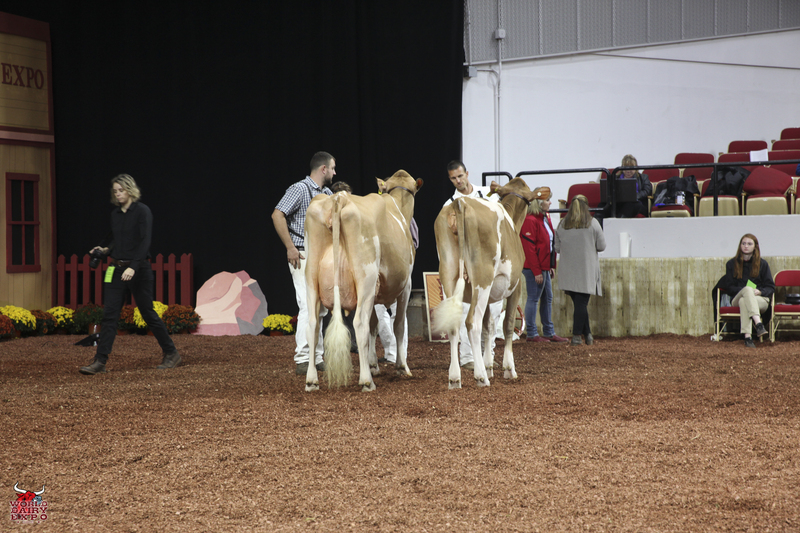 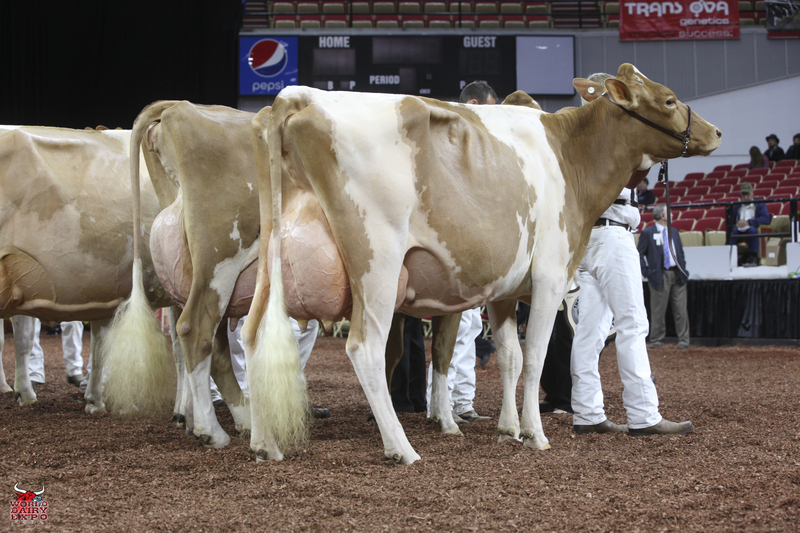 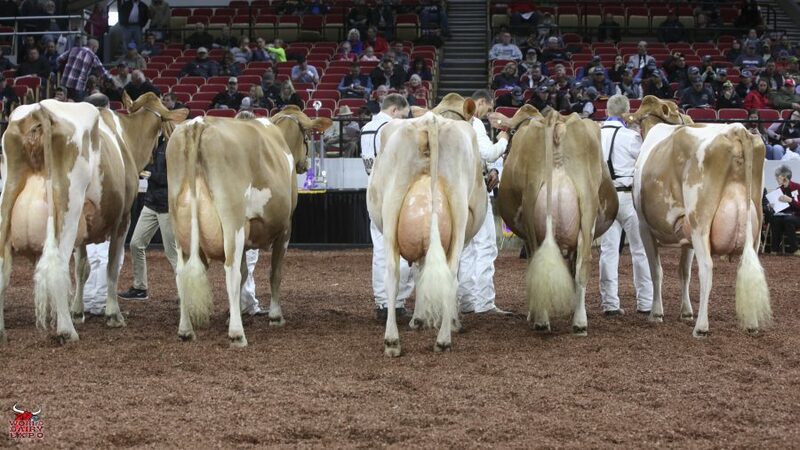 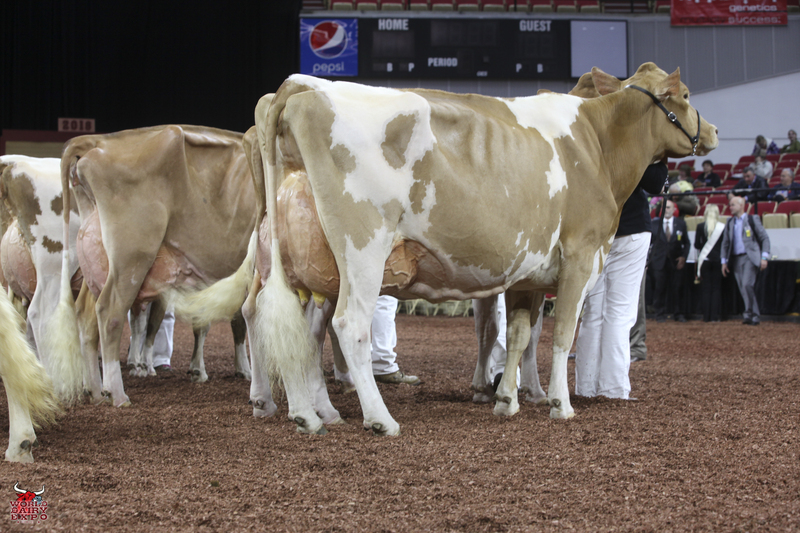 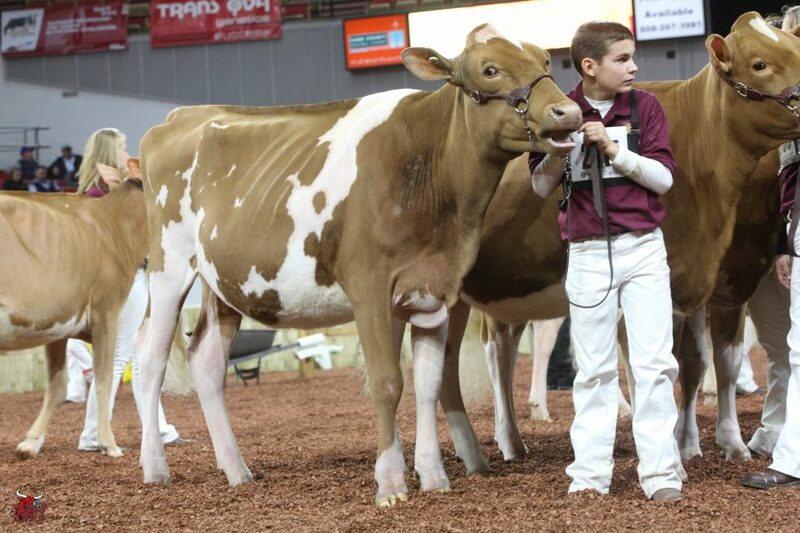 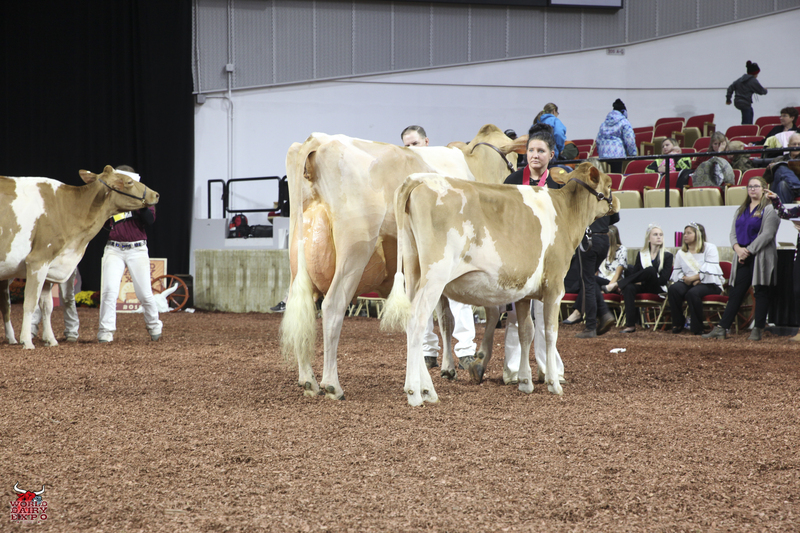 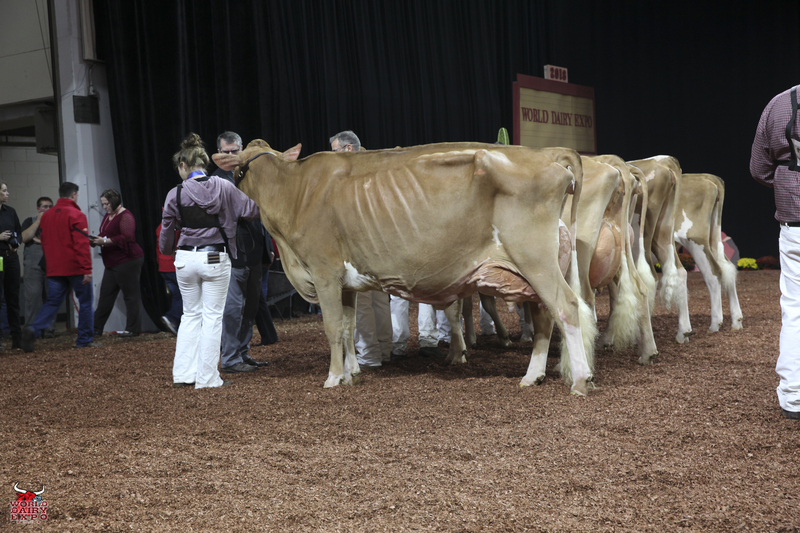 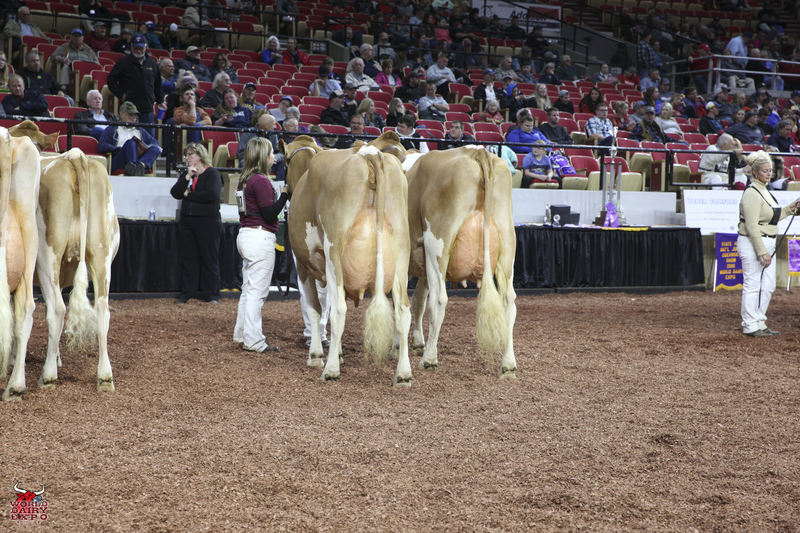 Meadowridge Fizz Sparkle and Wildweed Primero Lightning were named the Junior Champion and Reserve Junior Champion of the International Junior Jersey Show, respectively. 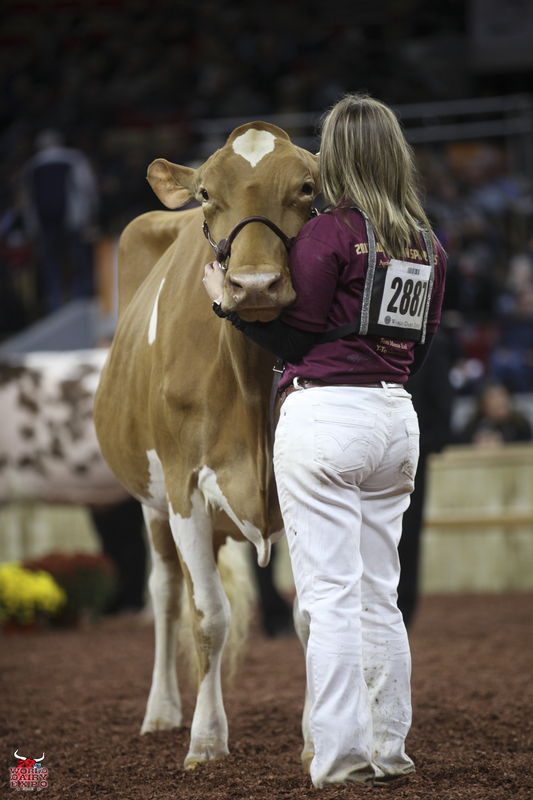 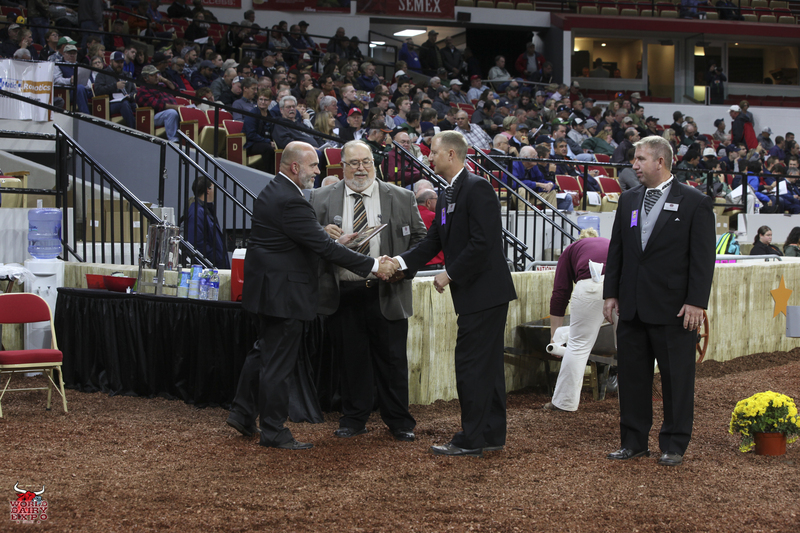 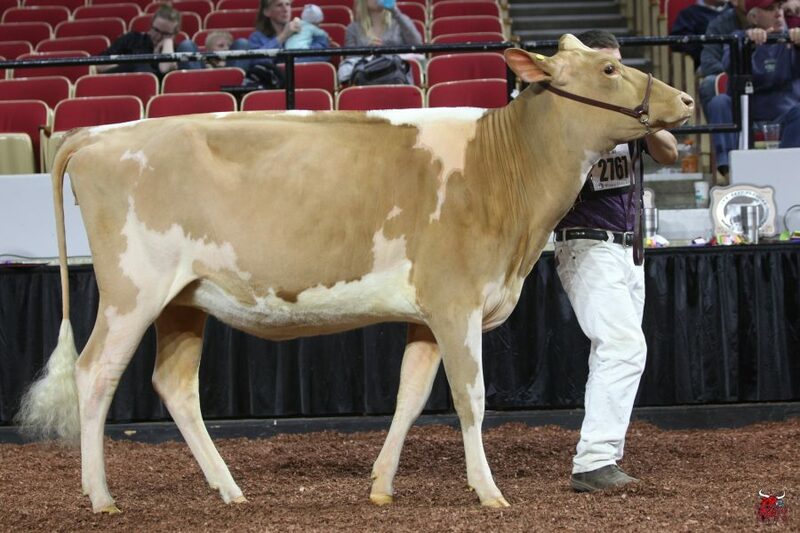 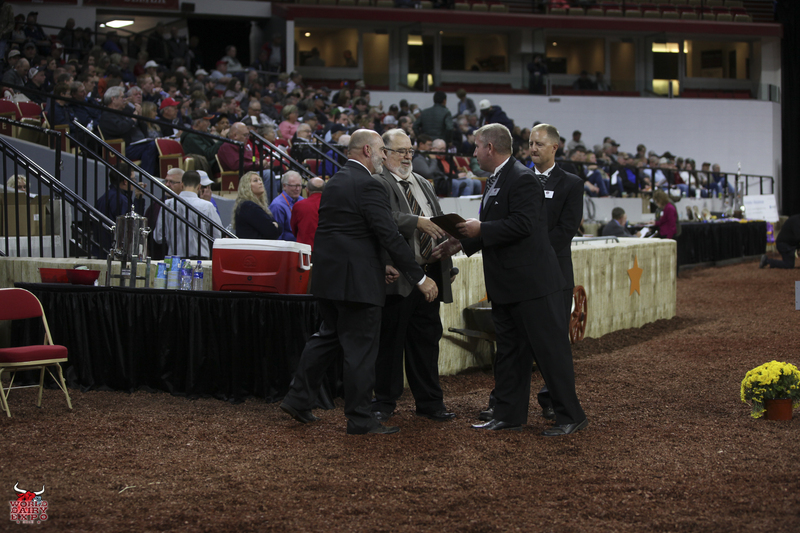 Sparkle, the winning Winter Yearling Heifer, is owned by Cole Kruse and Gene Henderson of Dyersville, Iowa. 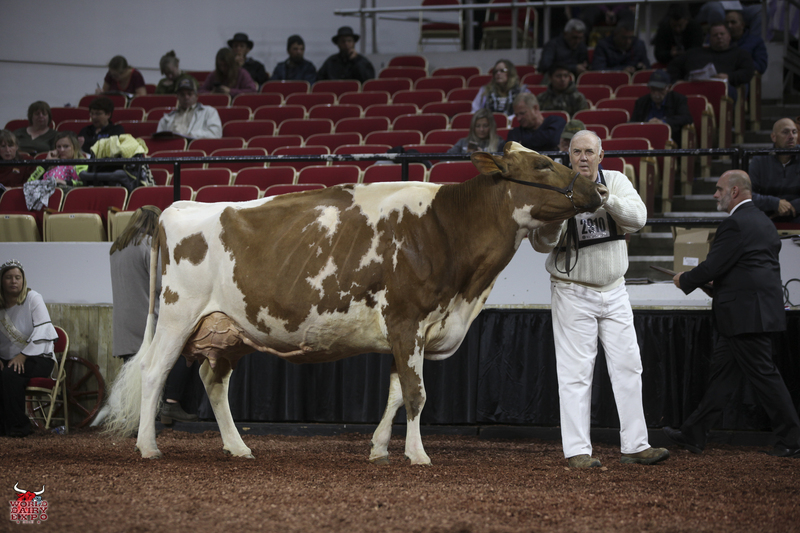 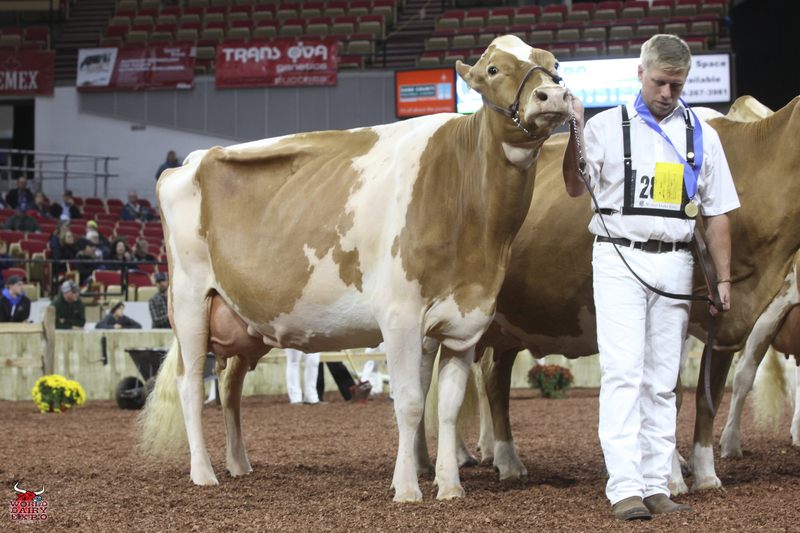 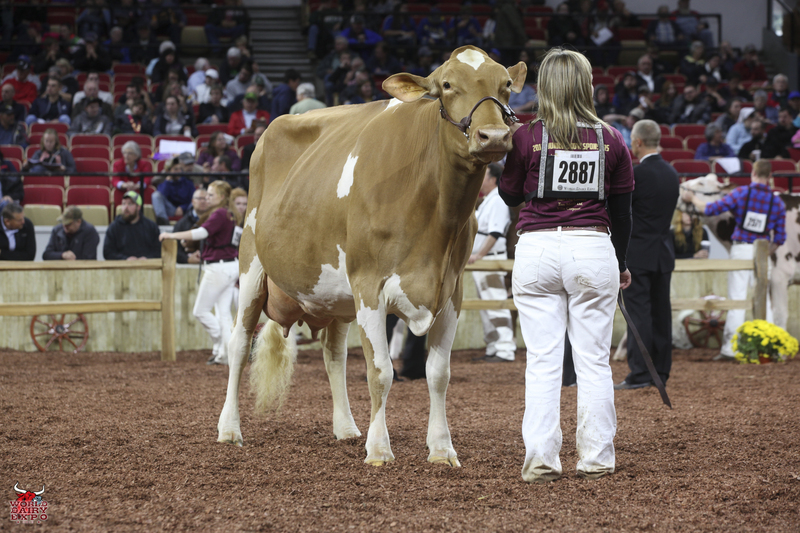 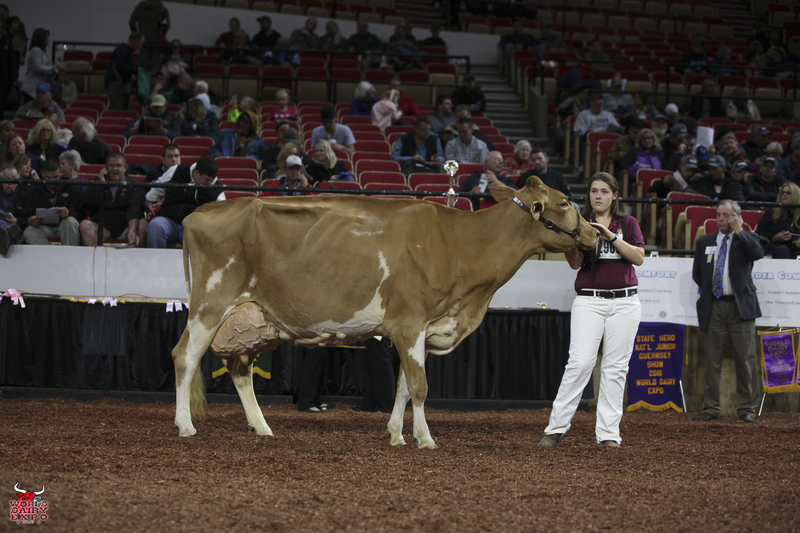 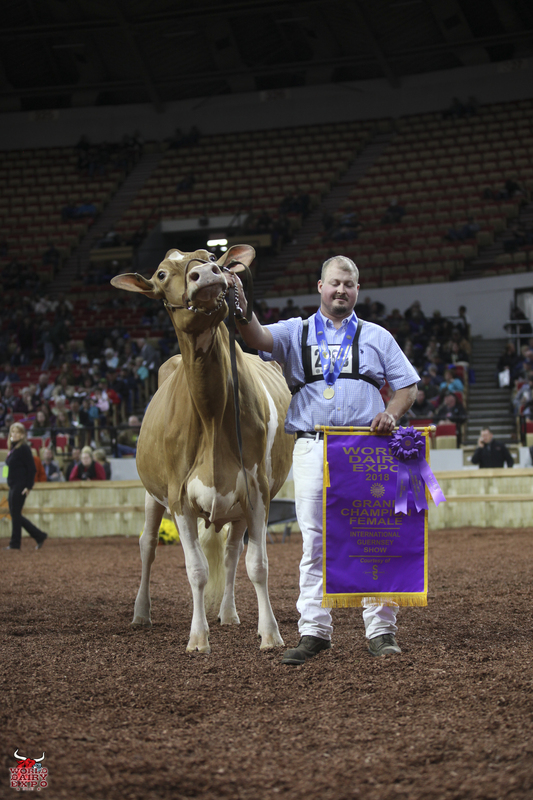 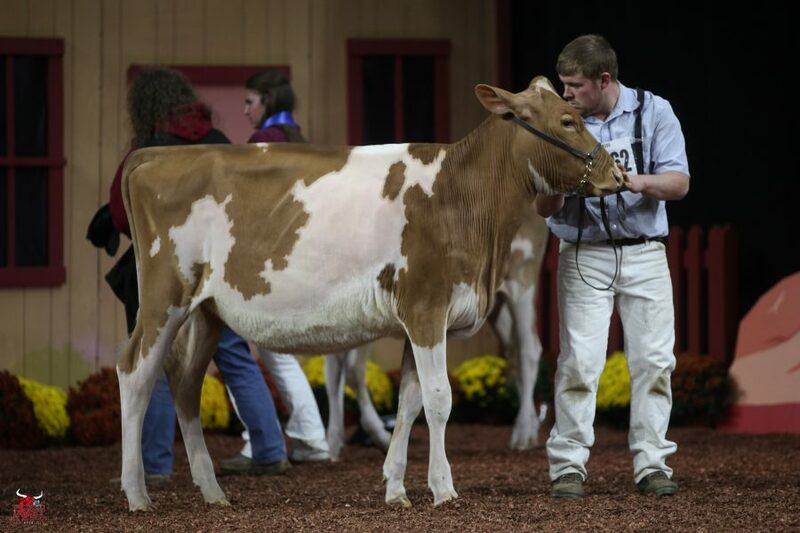 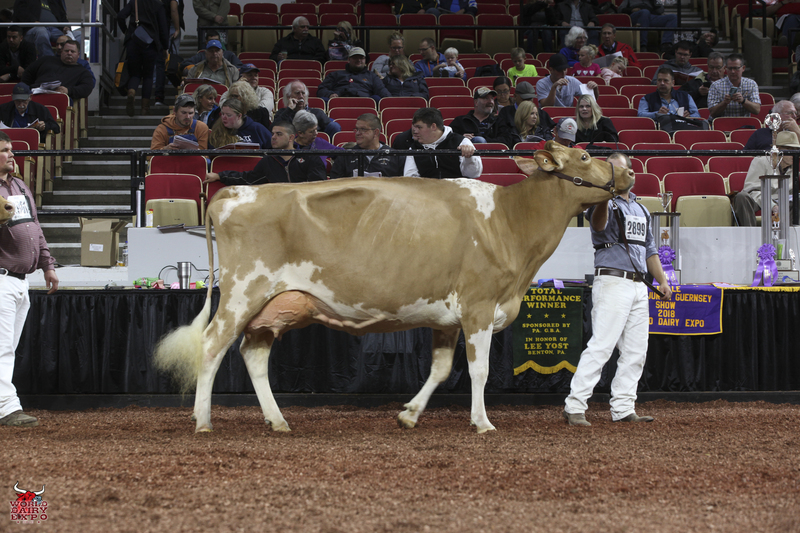 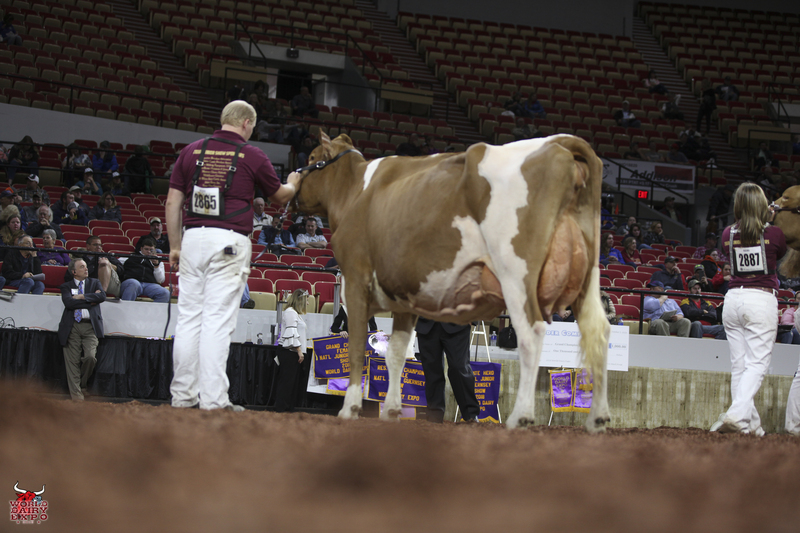 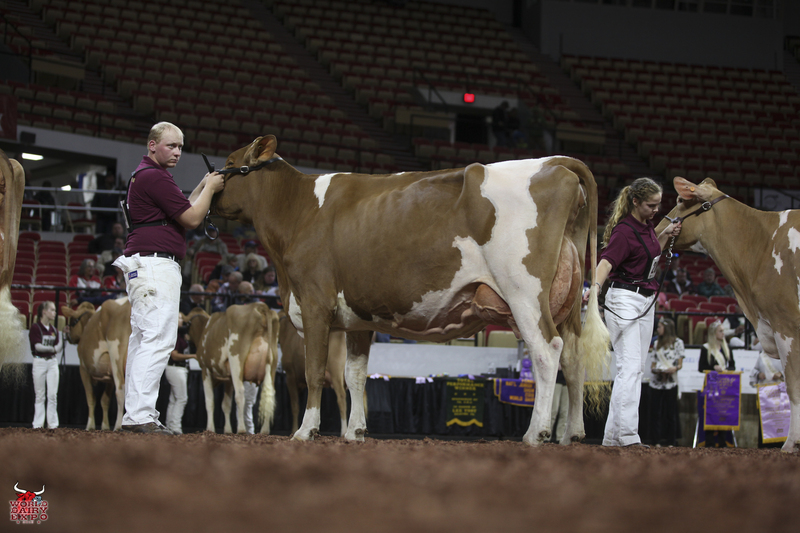 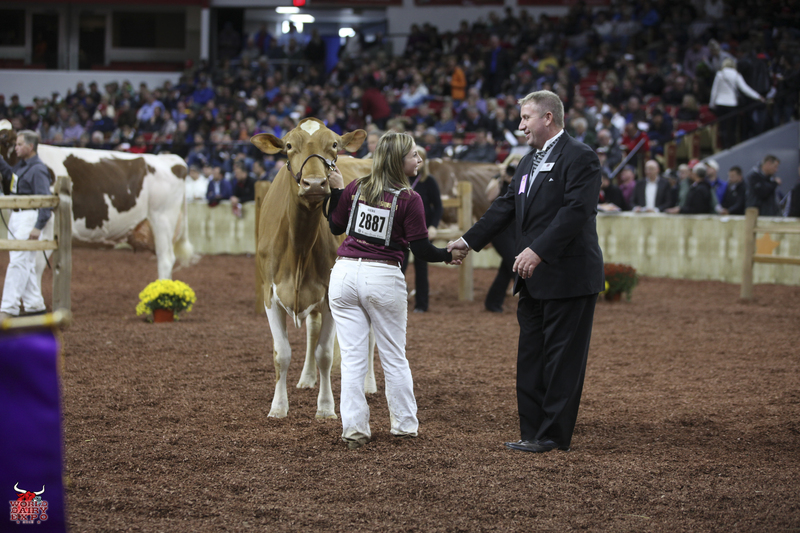 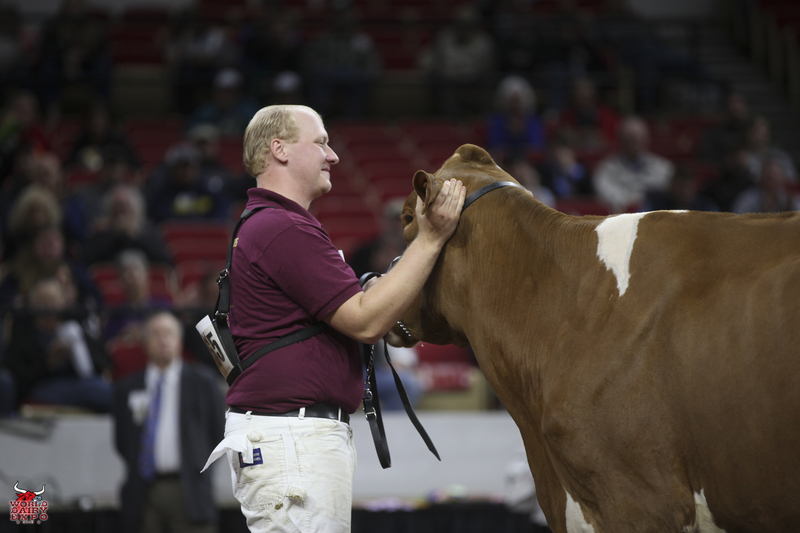 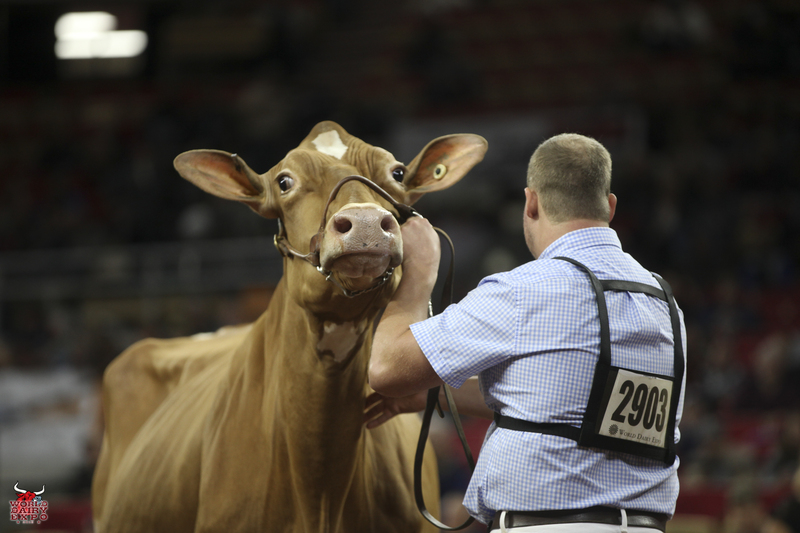 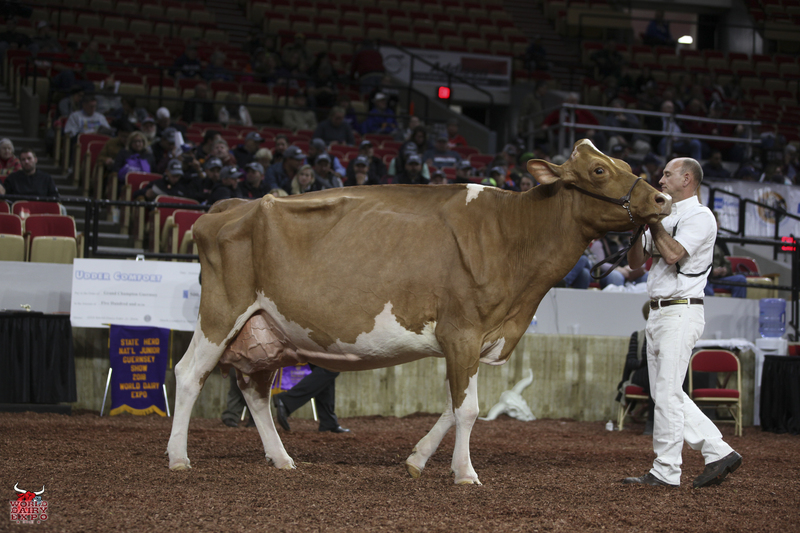 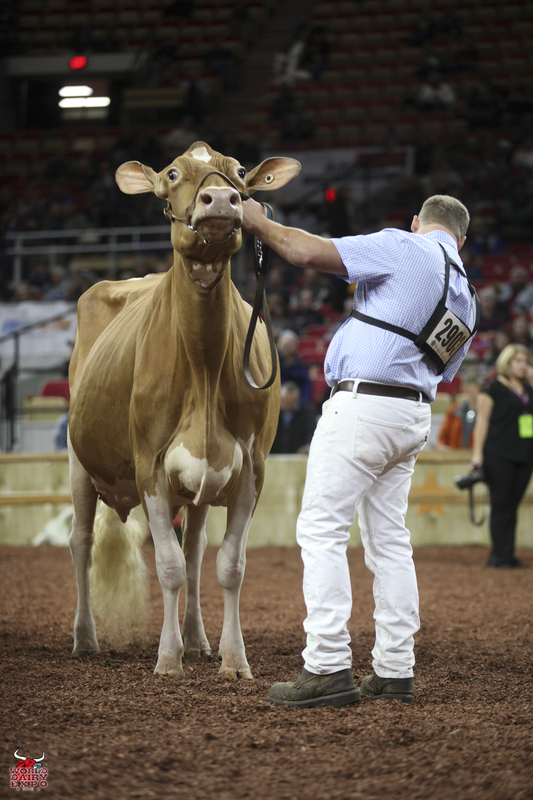 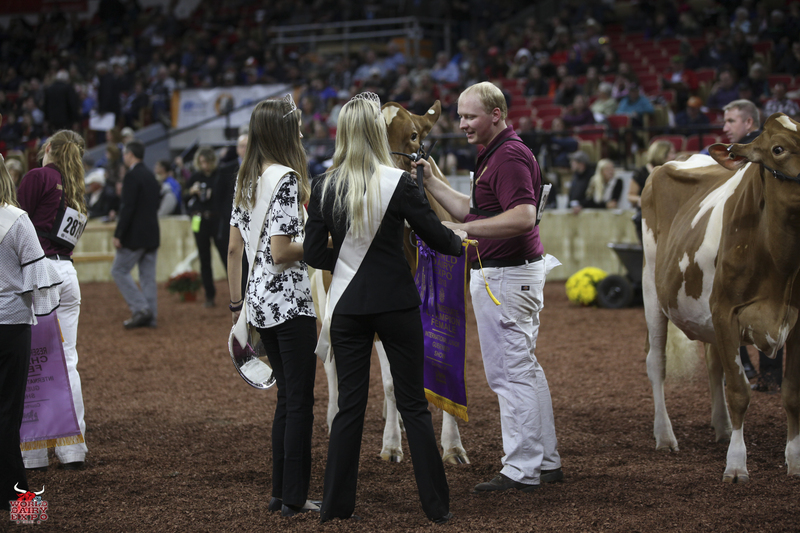 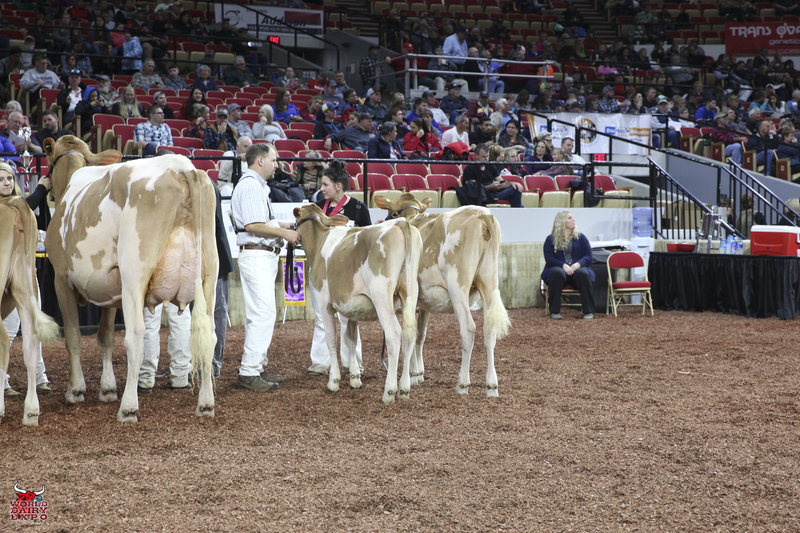 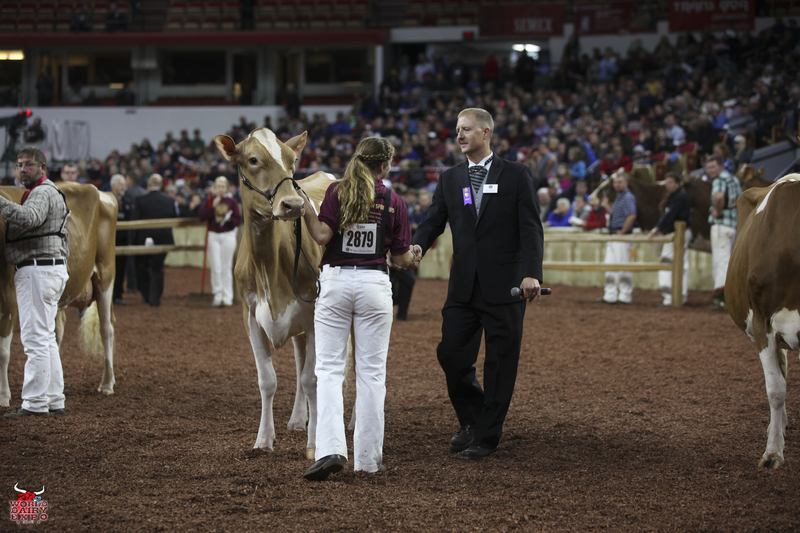 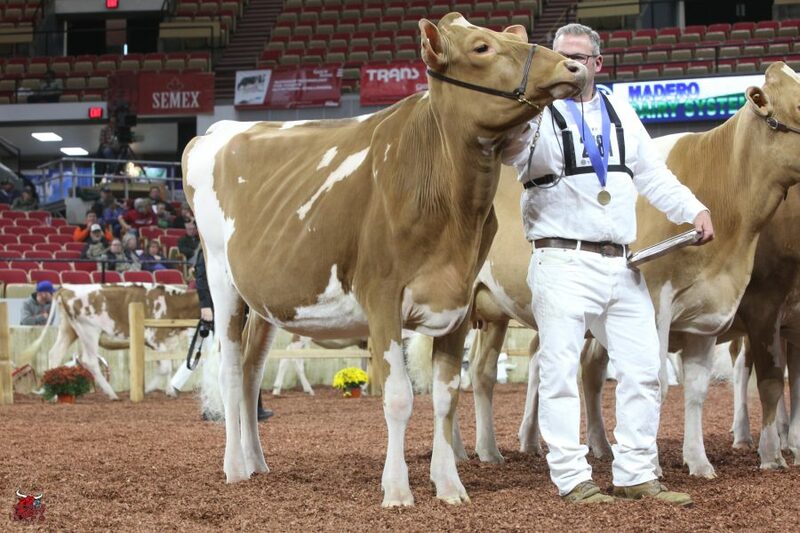 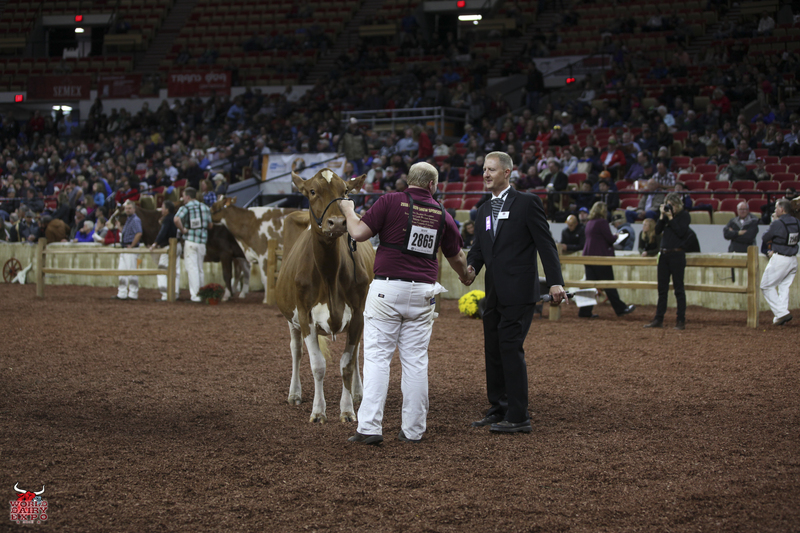 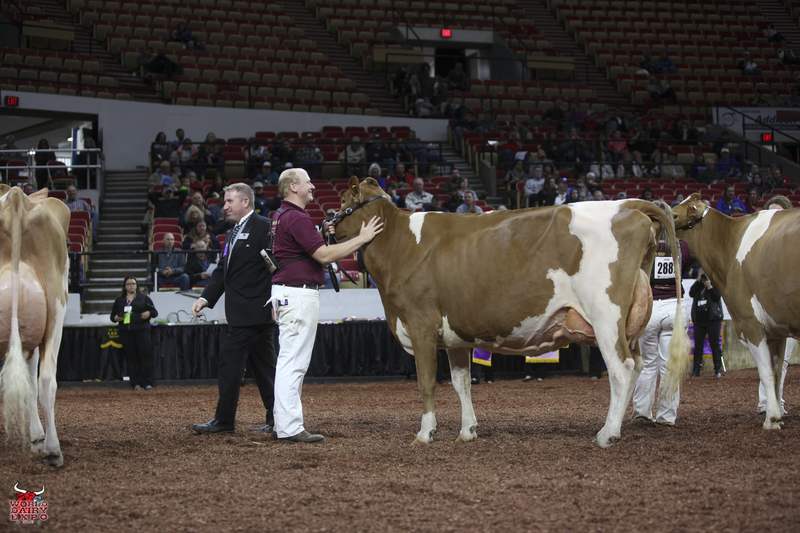 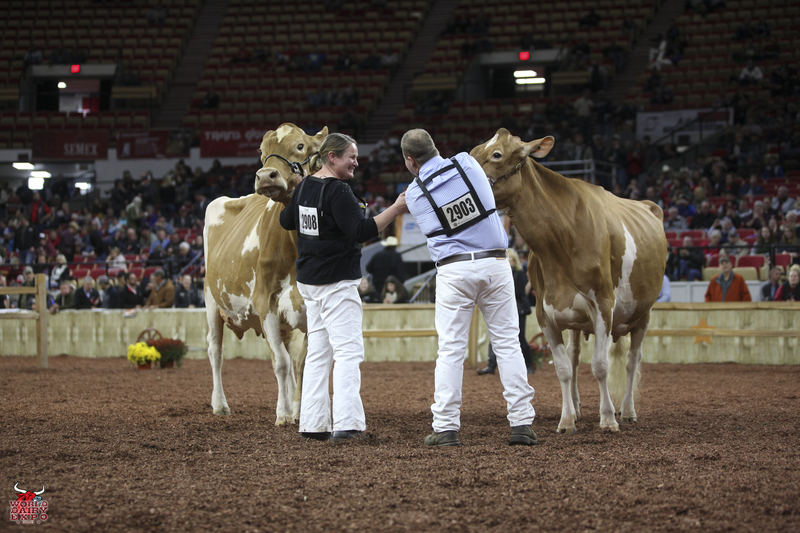 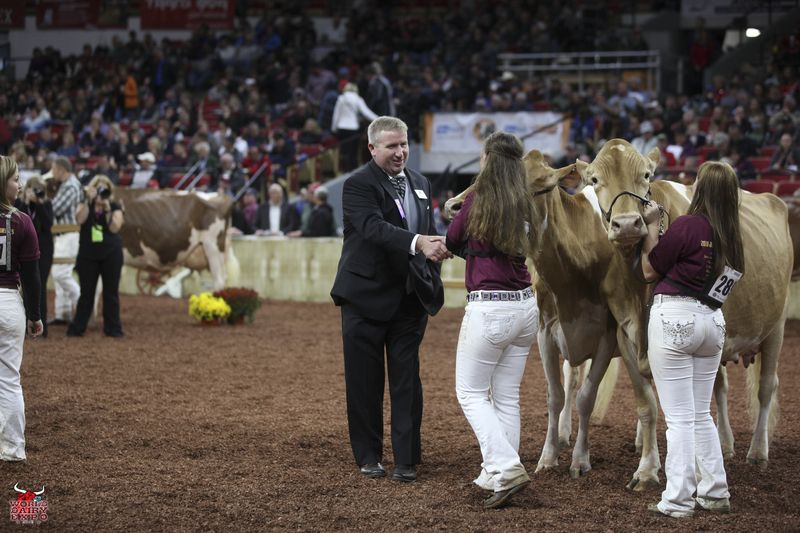 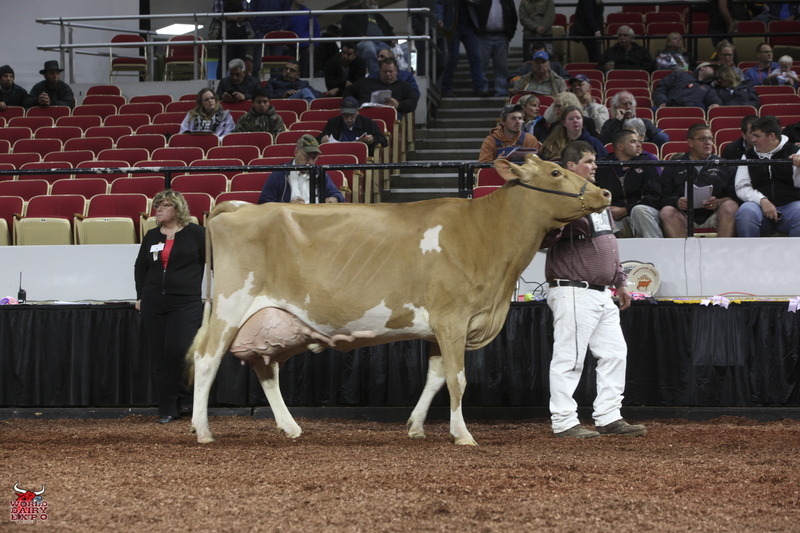 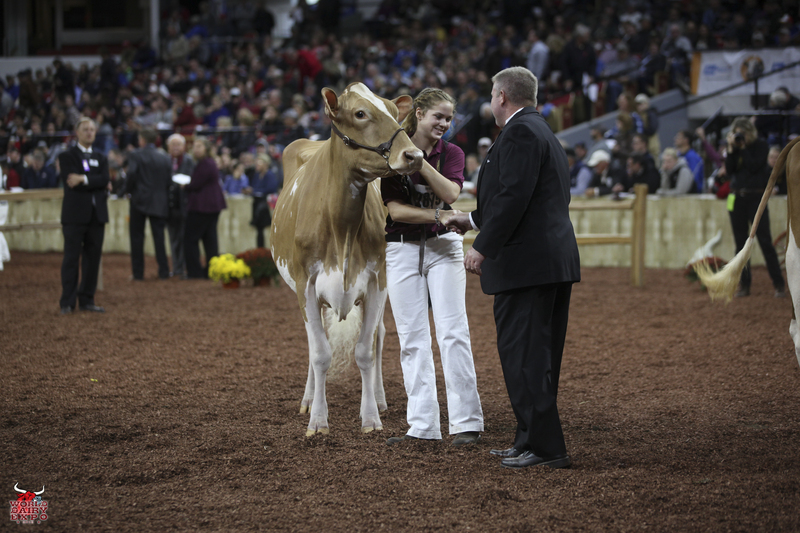 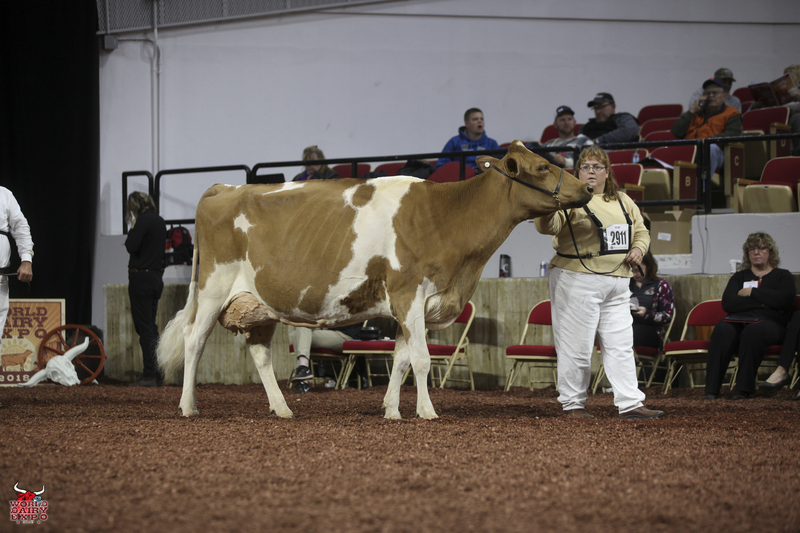 Michael and Megan Moede and Katie Ledvica of Algoma, Wis., are the owners of Lightning, the winning Fall Yearling Heifer. 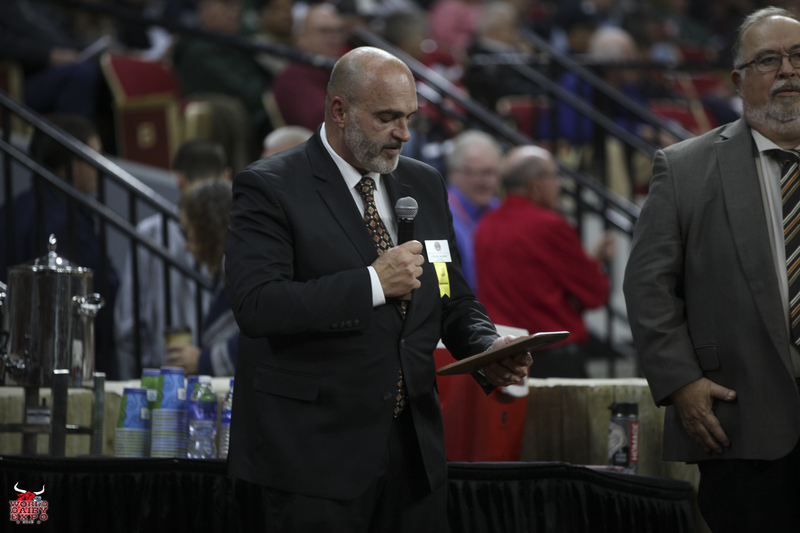 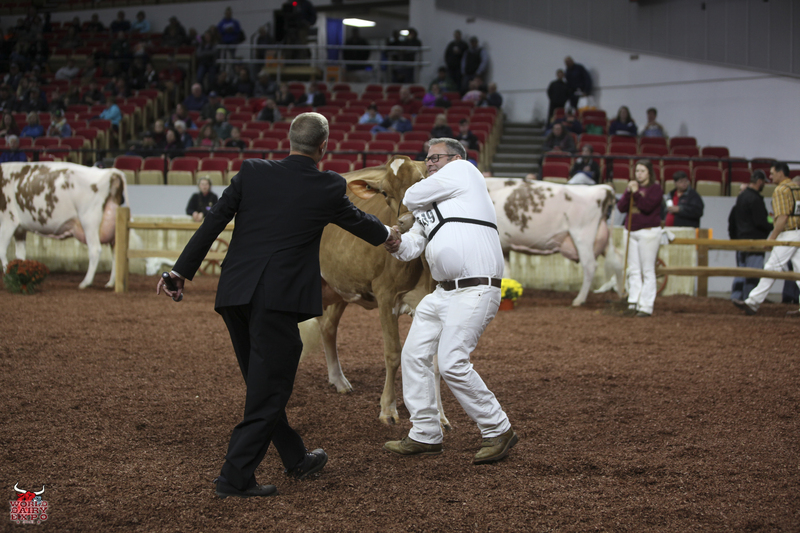 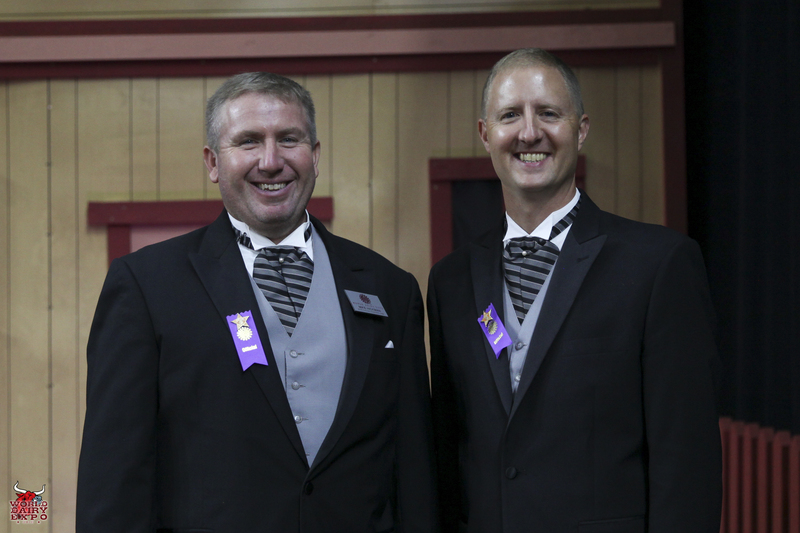 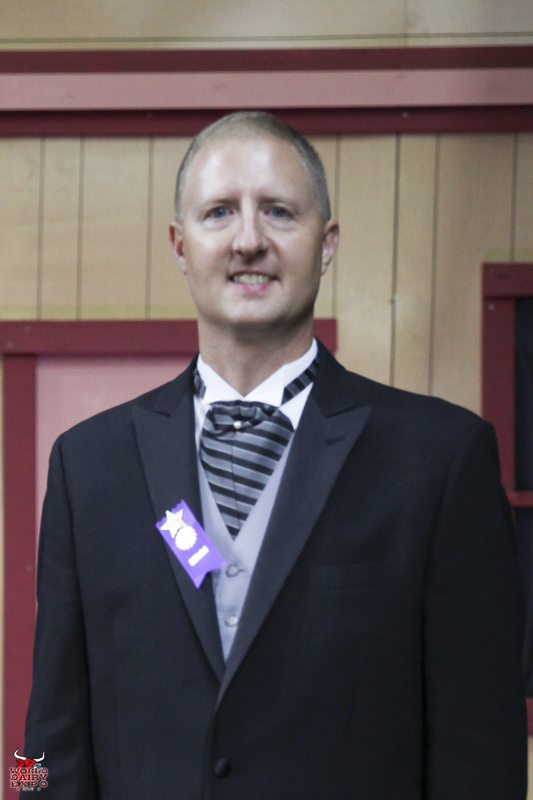 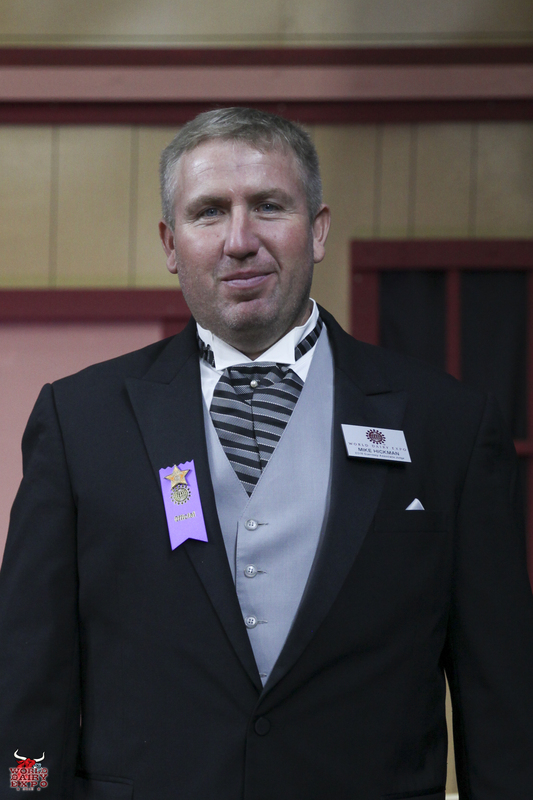 Official judge Brian Schnebly of Hagerstown, Md., placed 227 animals with the assistance of associate judge Mike Hickman of Shelbyville, Tenn.